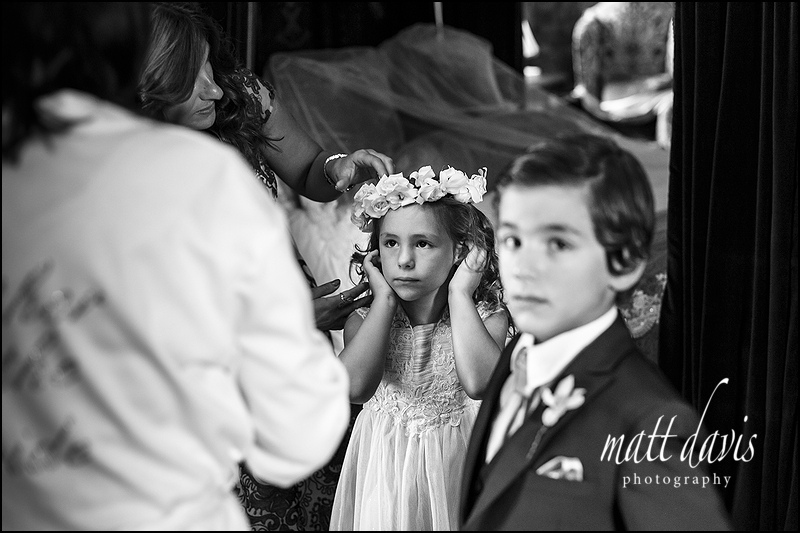 It never rains it pours. 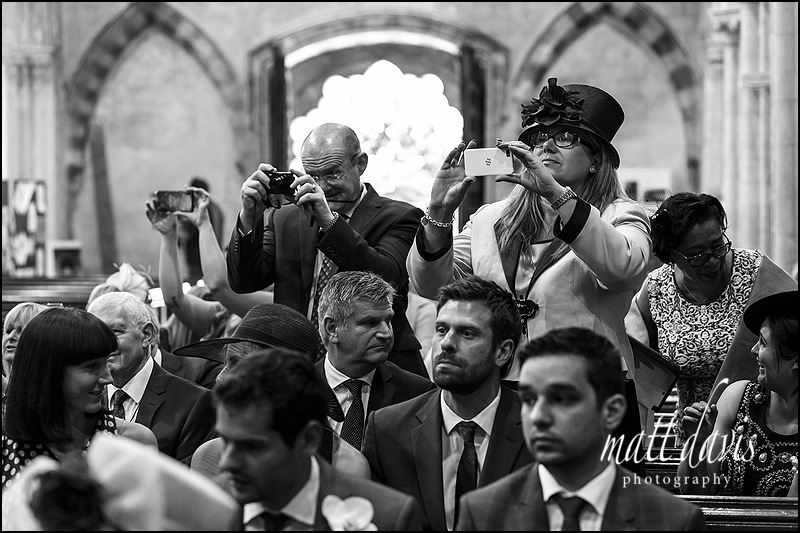 I’m not talking weather here, but photographing weddings at the same venue as I’m currently on a three weekend roll of weddings at Berkeley Castle in Gloucestershire. 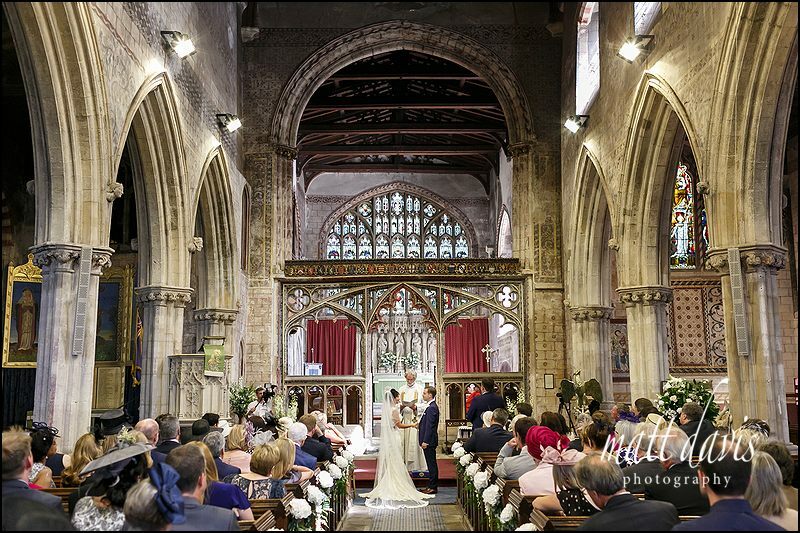 This time was the turn of Edward & Layla to tie the knot there and they picked a corker of a day. 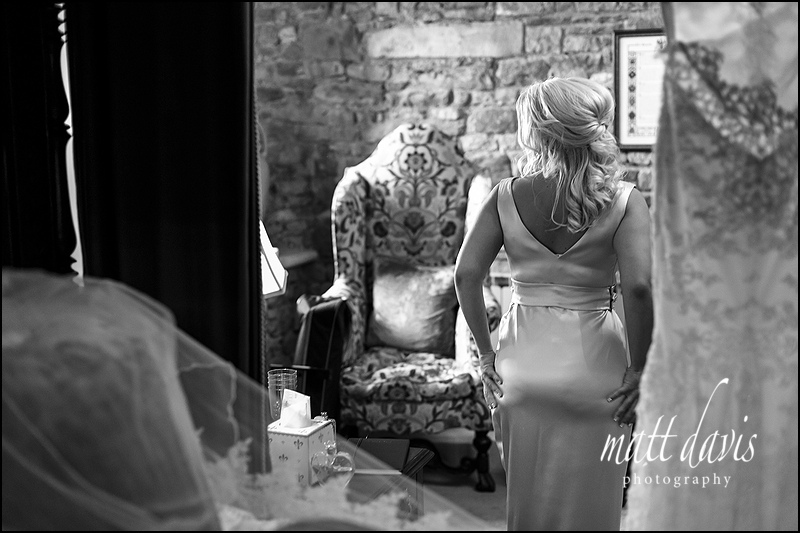 Somewhat a departure from the norm though, I actually initially caught up with Layla at Thornbury Castle where she was getting ready first thing. 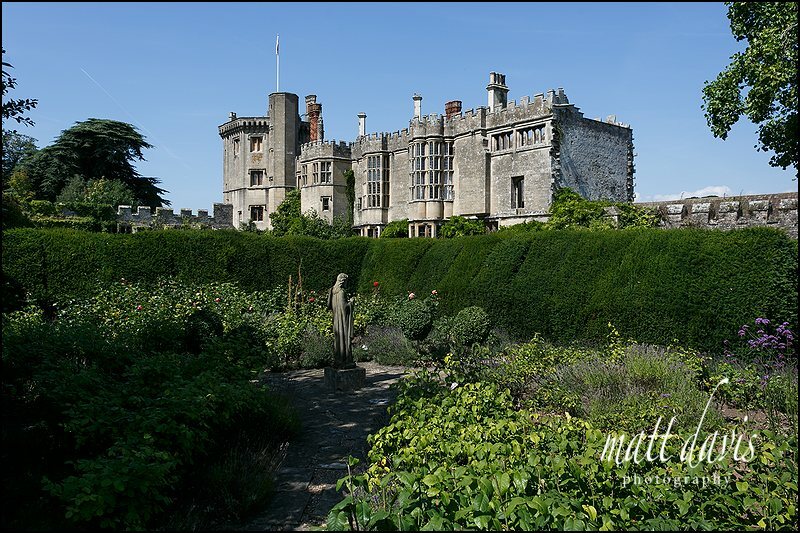 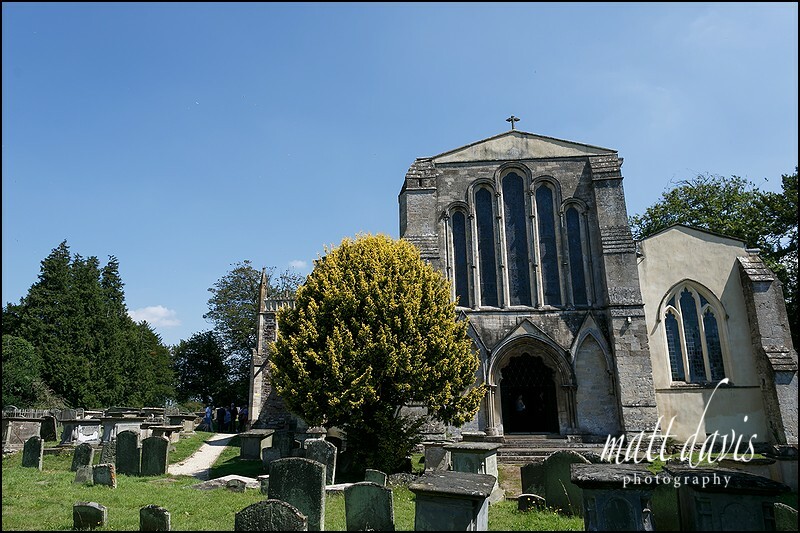 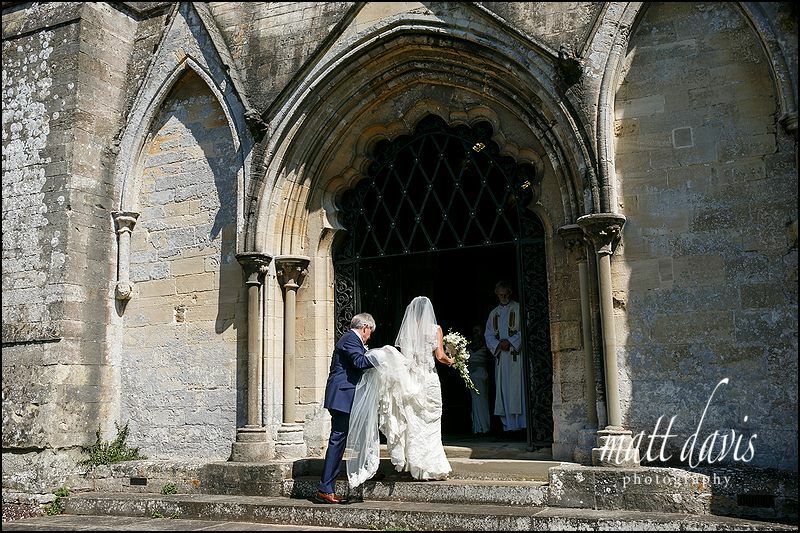 It’s another local wedding venue, but on this occasion she’d decided to divide her day amongst the two respective castles, rather than having the whole affair at Thornbury. 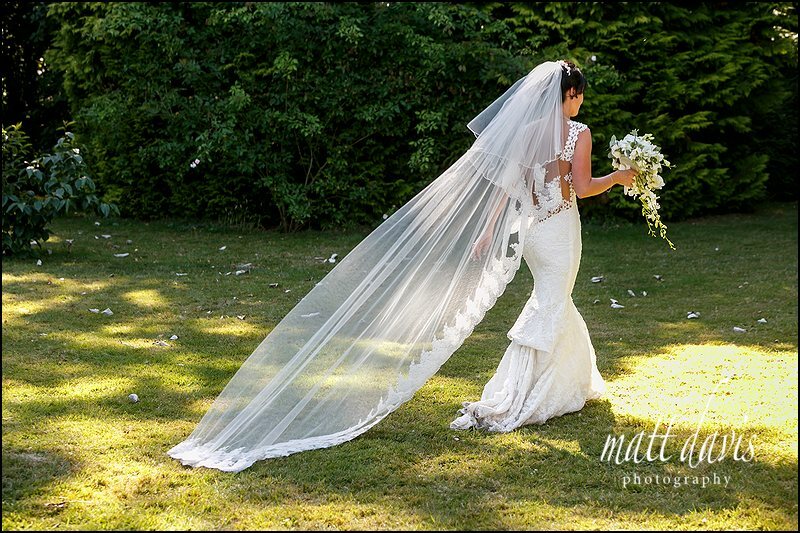 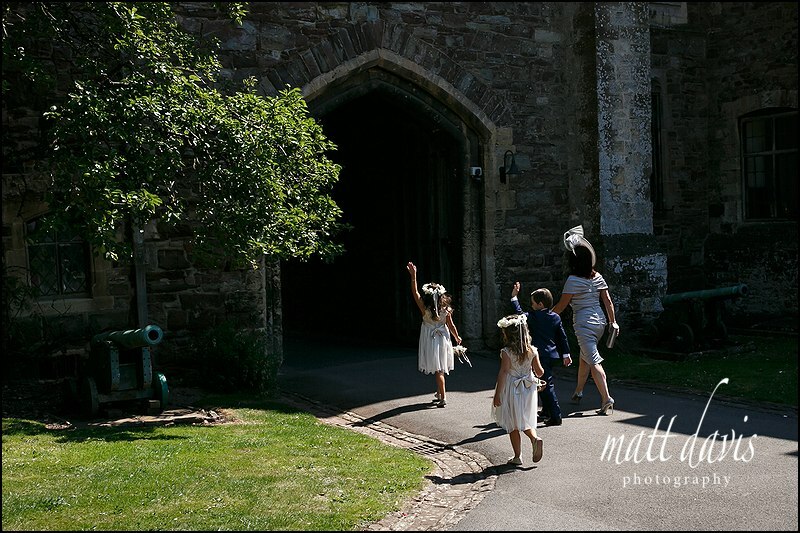 Once preps were over it was a typical wedding set-up in Berkeley with firstly a beautiful ceremony at St Mary’s Church, then the short stroll over to the Castle itself for a sunny drinks reception by the fountain and dining in the great hall afterwards. 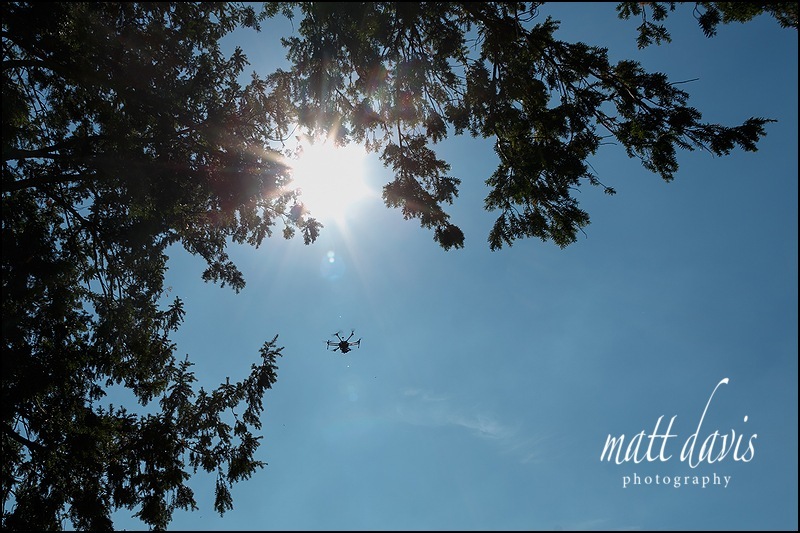 I tagged along to capture the day and put it into pictures, but alongside me were what seems to be a plethora of videographers, from close up, to telephoto zoom and even a drone to capture some shots from way up high! 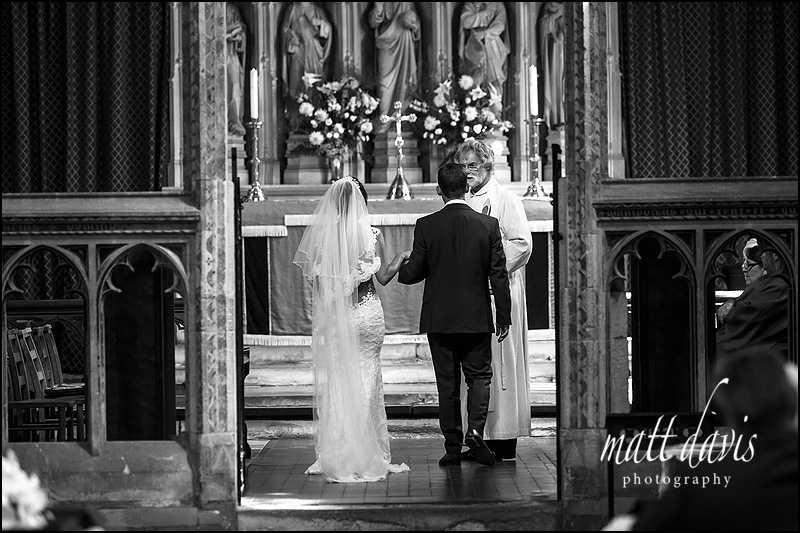 I’m sure it’ll give Edward and Layla a phenomenal amount of coverage from the day, and I just hope I didn’t get in too many of the shots and vice versa. 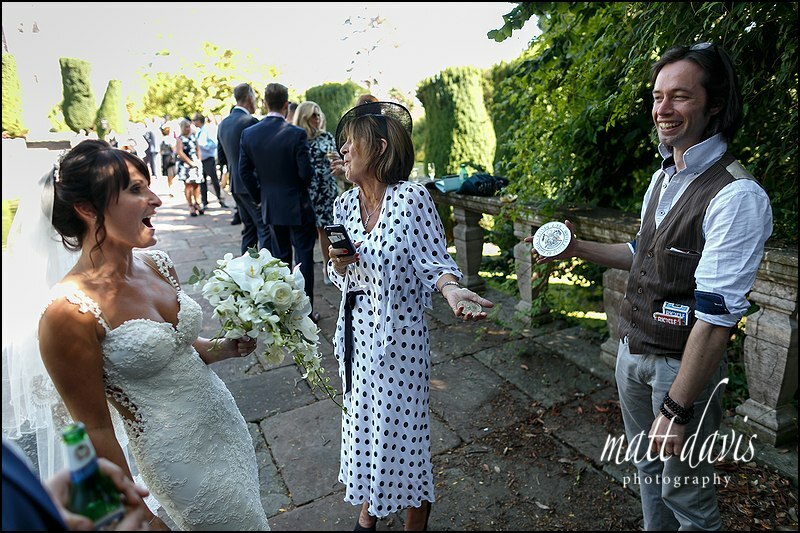 Working alongside four videographers is somewhat challenging! 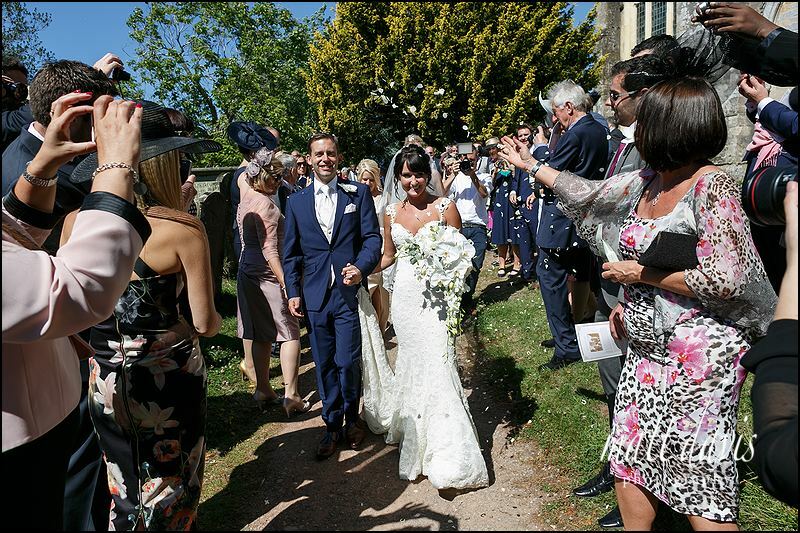 So take a peak at the fine day, with a selection of my favourite photos below. 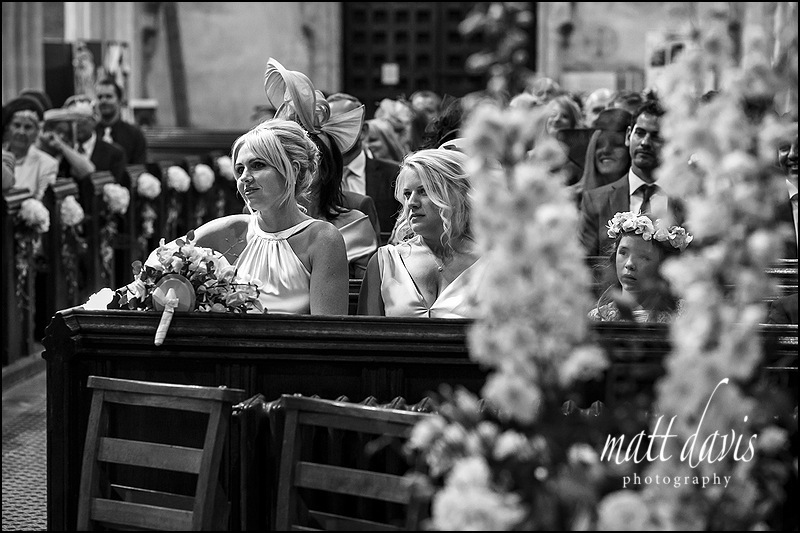 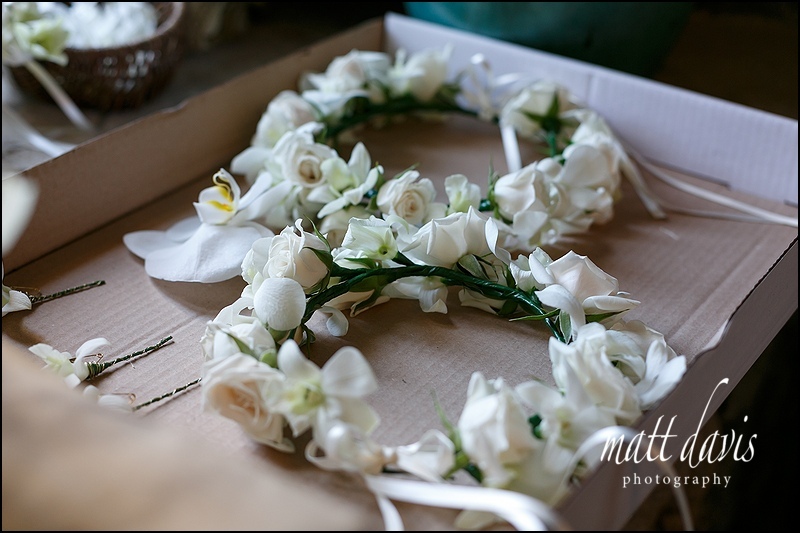 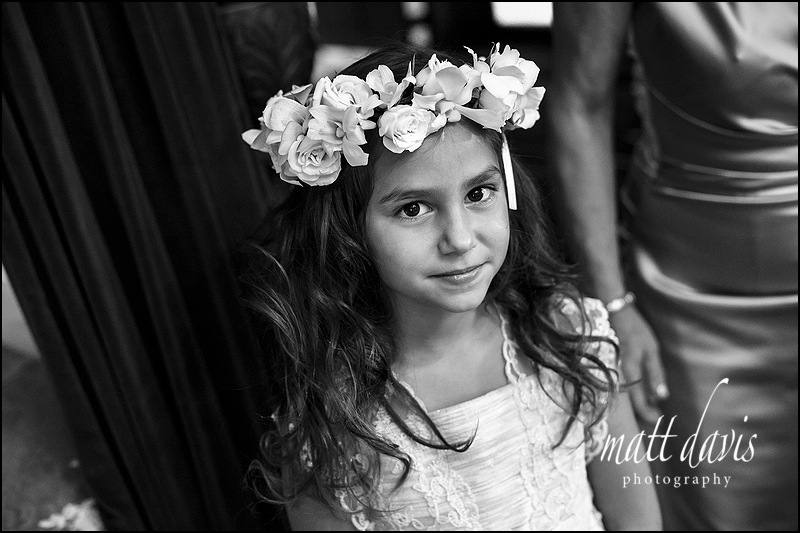 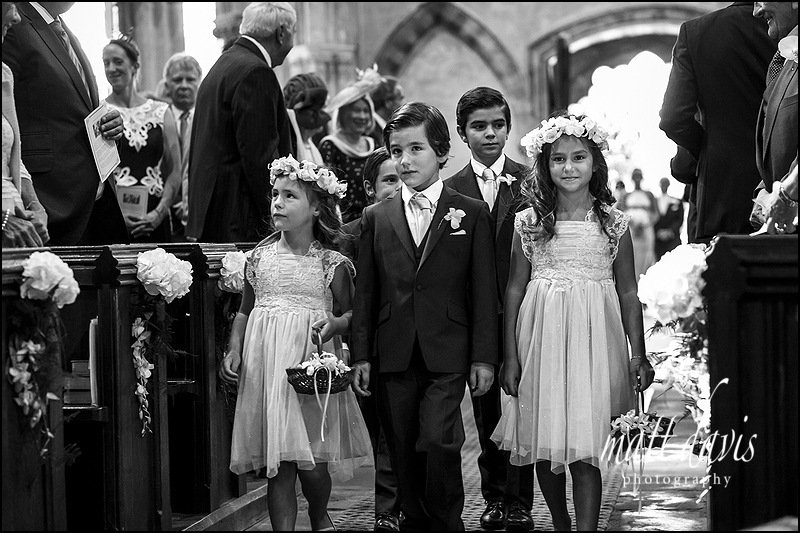 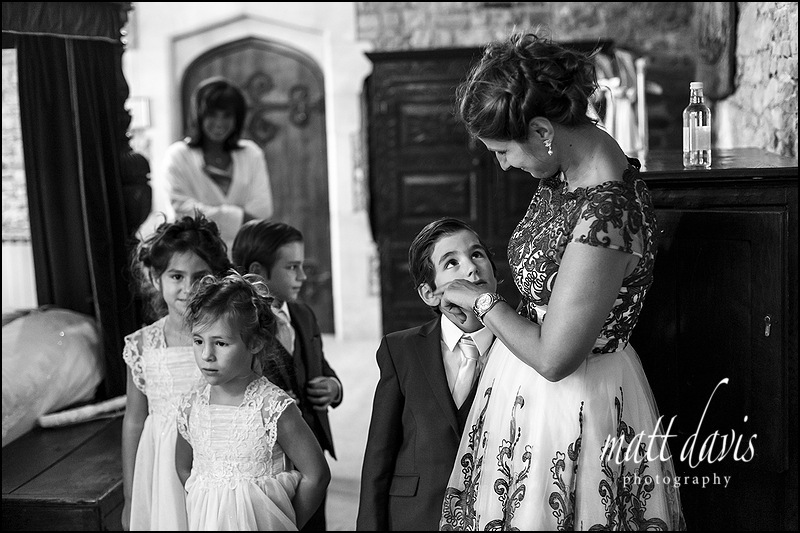 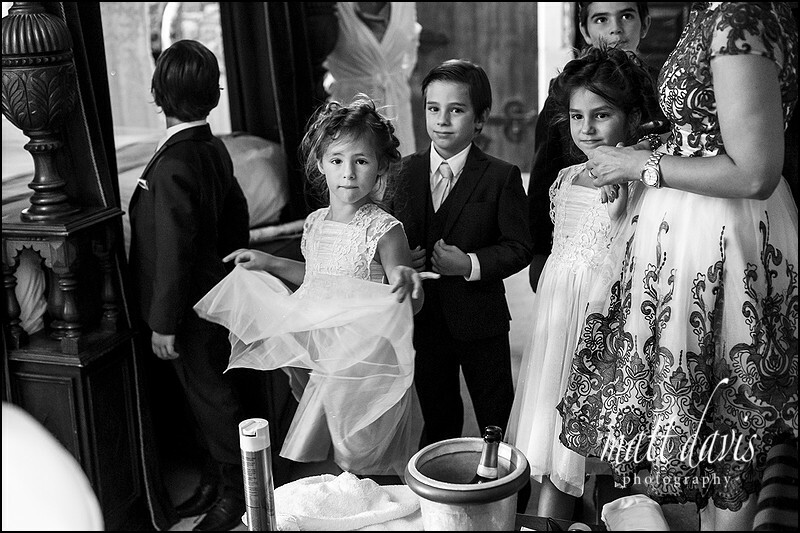 Cute hair pieces for the flower girls…..and in they walked on cue. 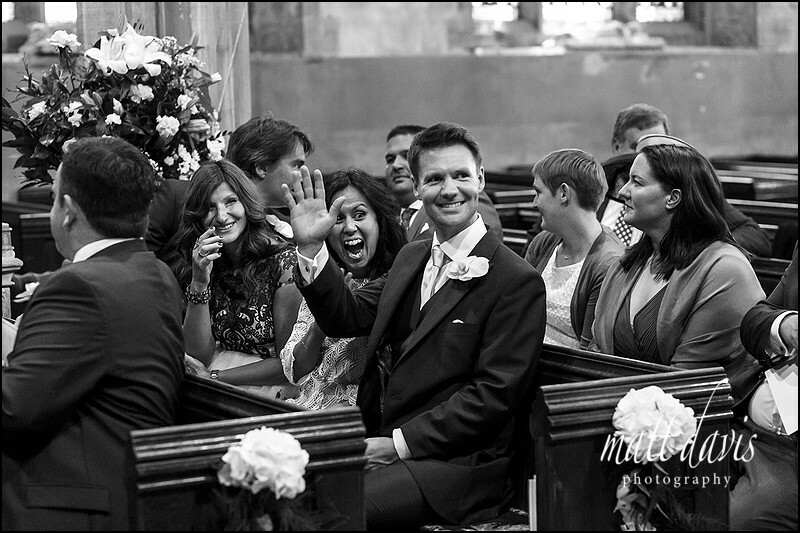 The rare time I make it into a wedding photo. 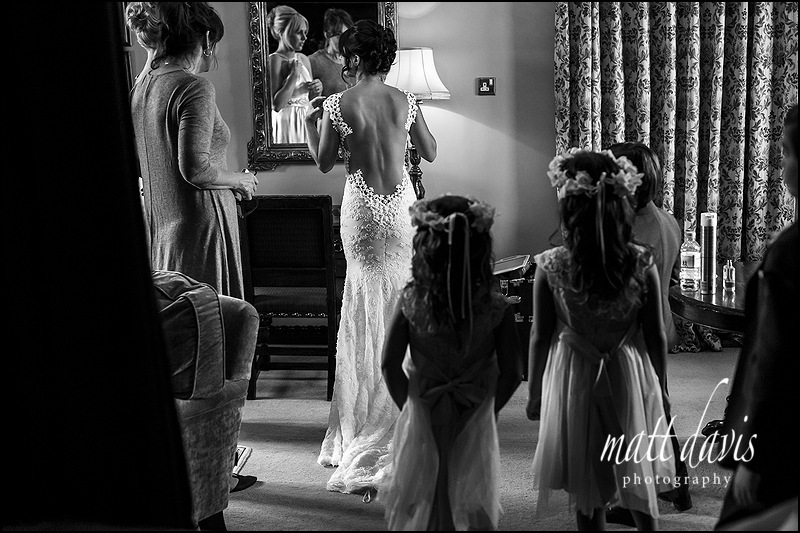 All girls love dresses, however little eh? 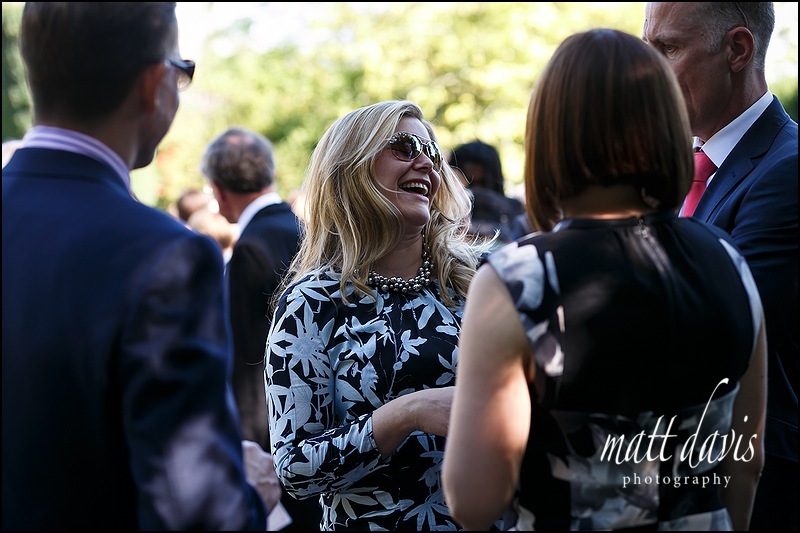 Yep hanging around can be boring. 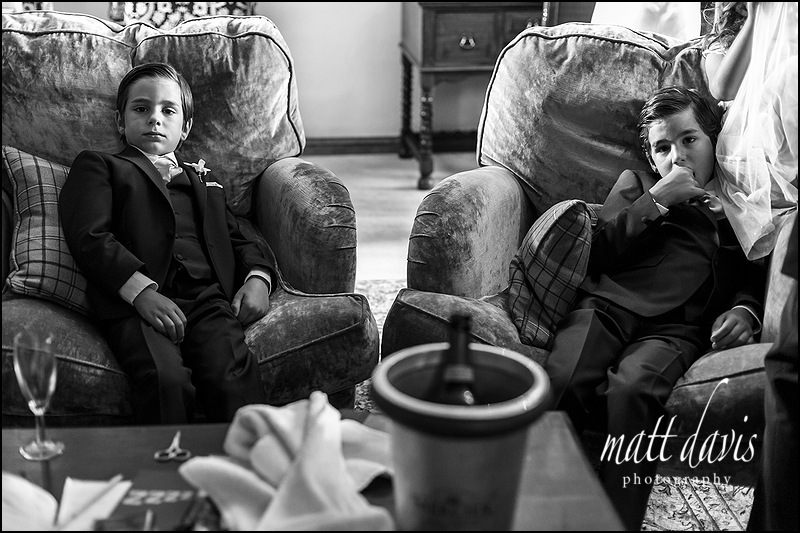 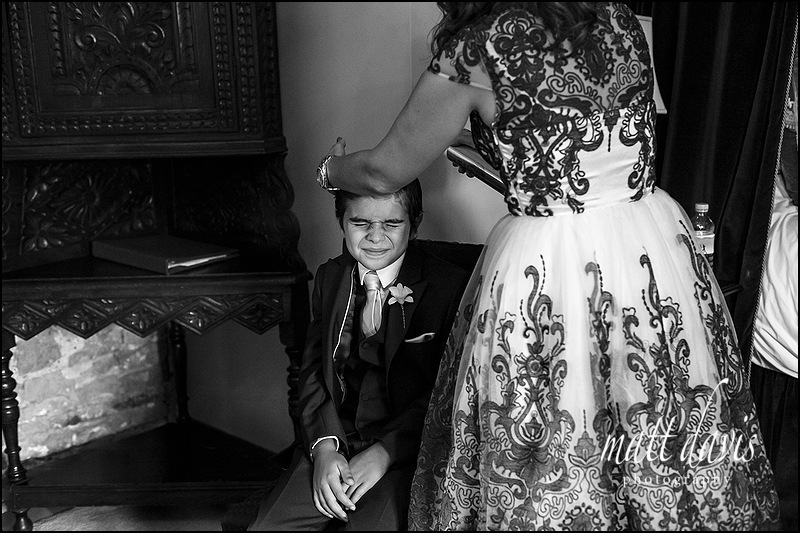 Boys don’t do hairspray…..and it smells horrible too! 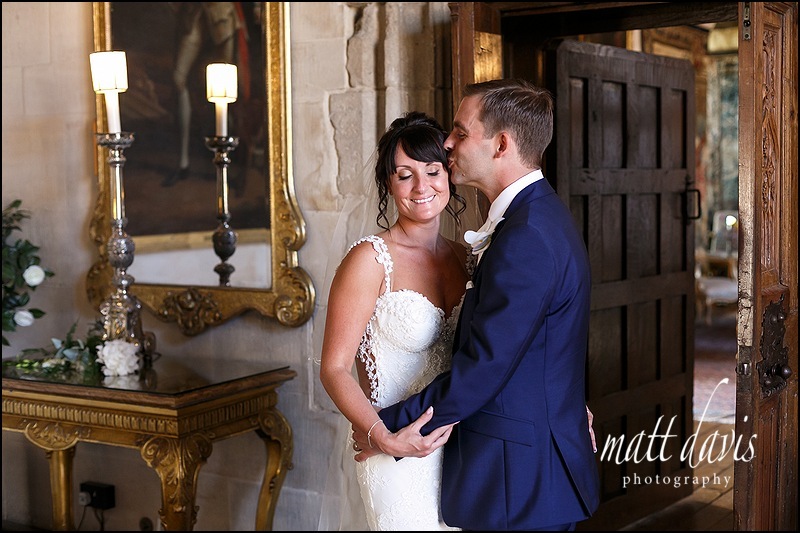 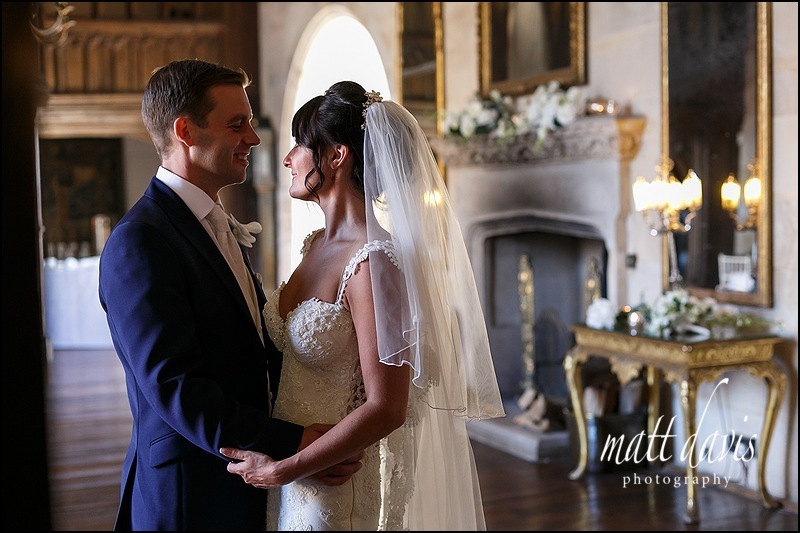 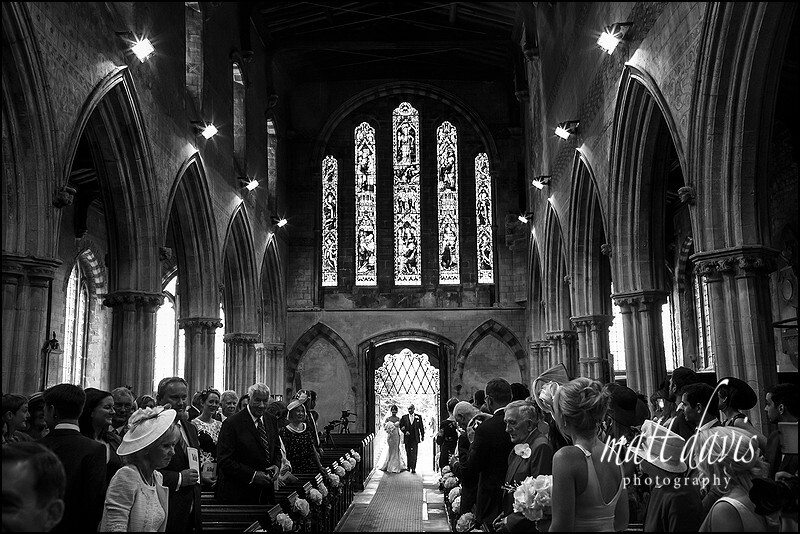 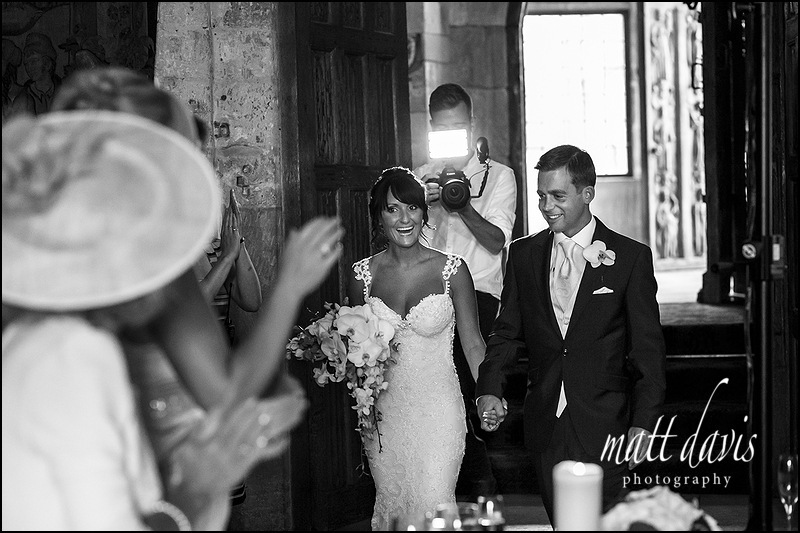 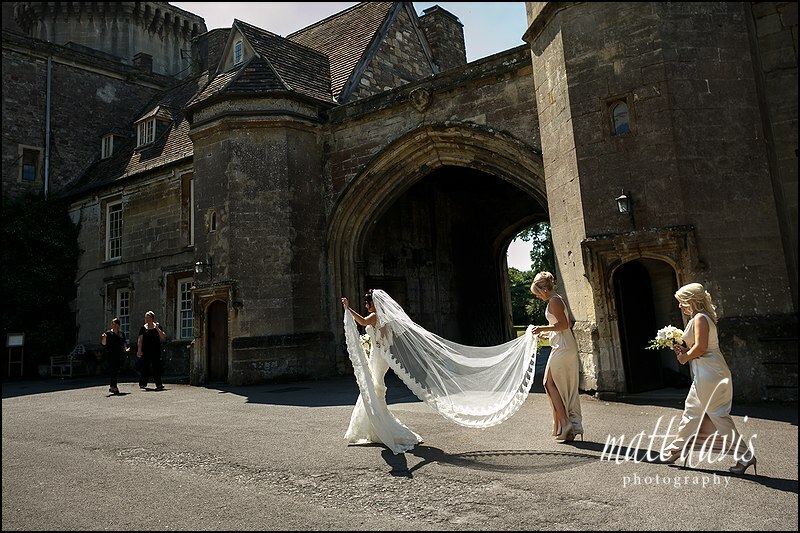 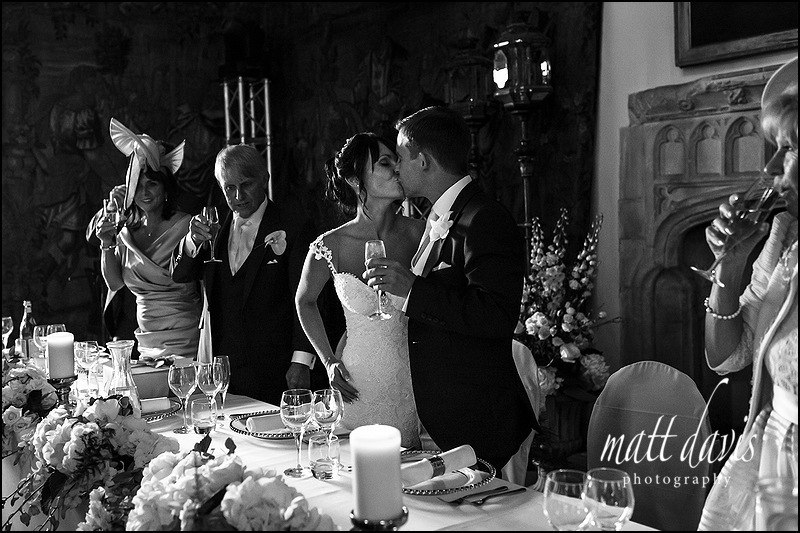 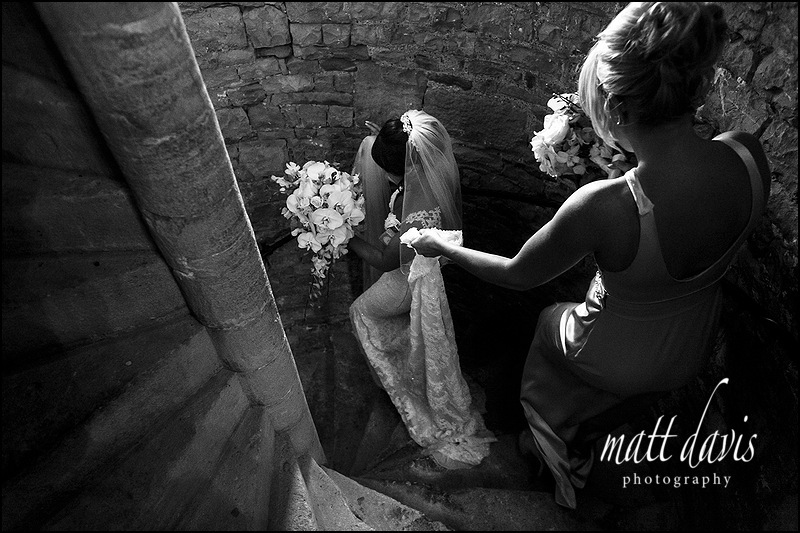 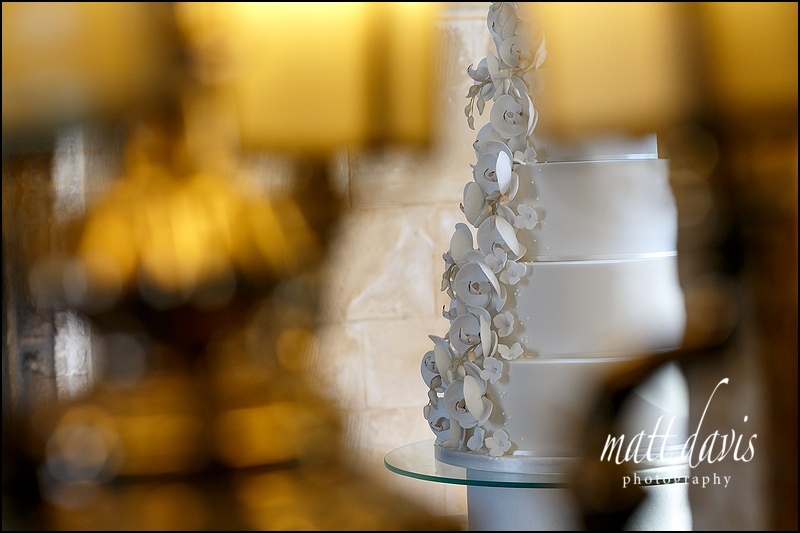 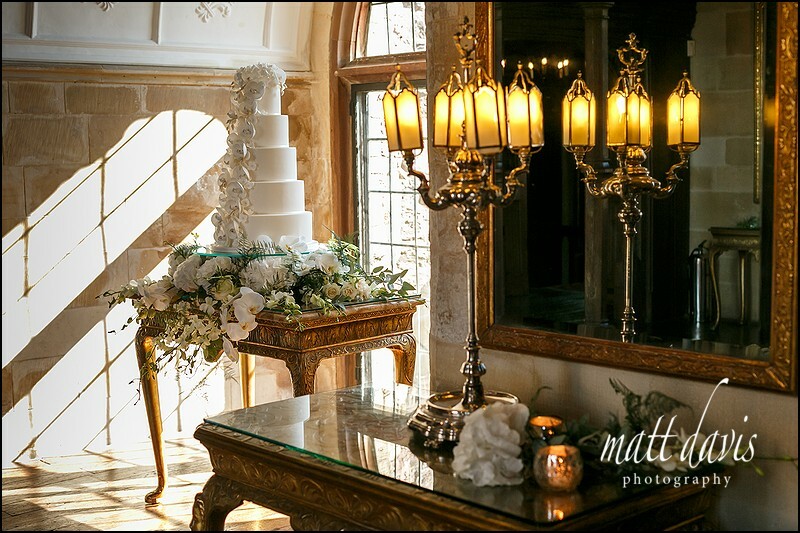 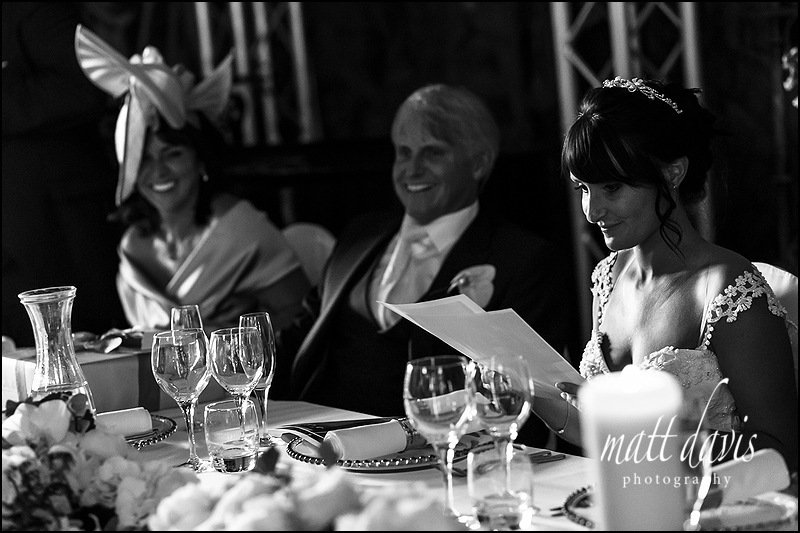 Love this wedding photo with such amazing light in the archway at Thornbury Castle. 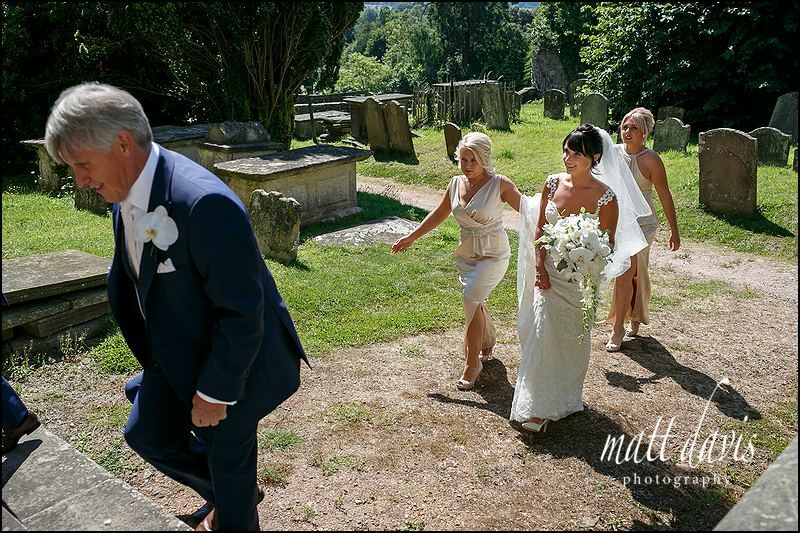 I thought this was a bridesmaids job? 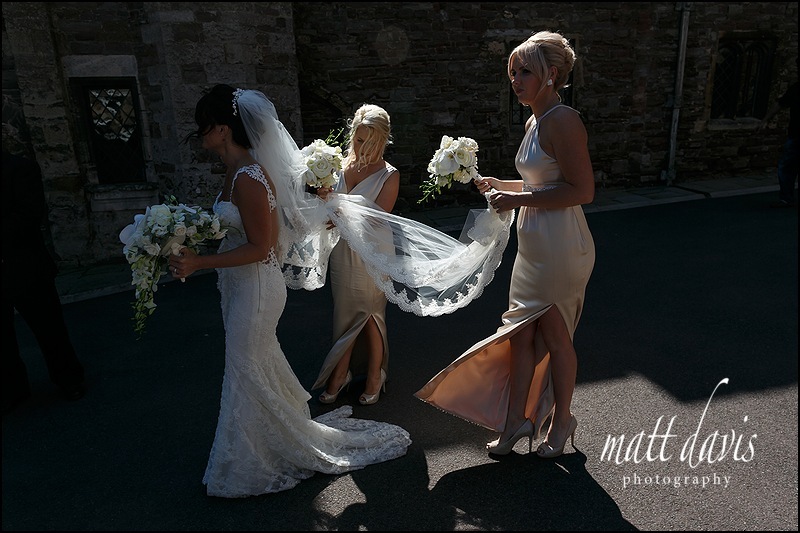 Pesky wind & wedding veils. 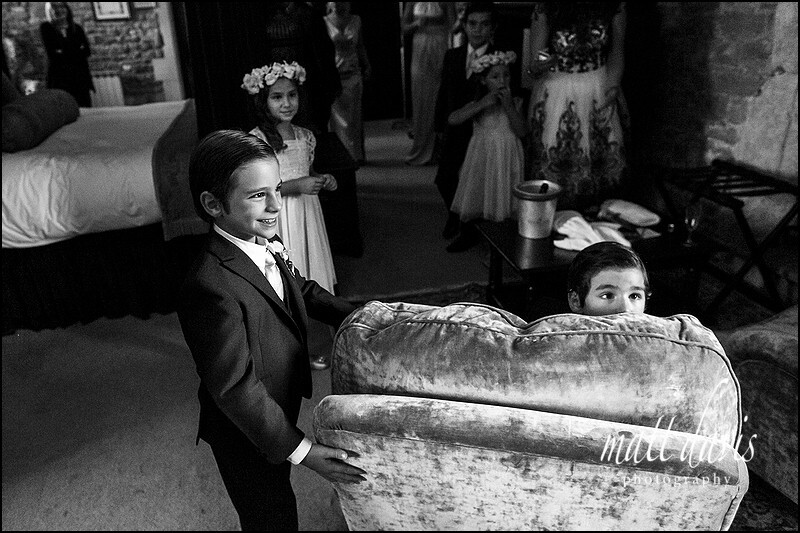 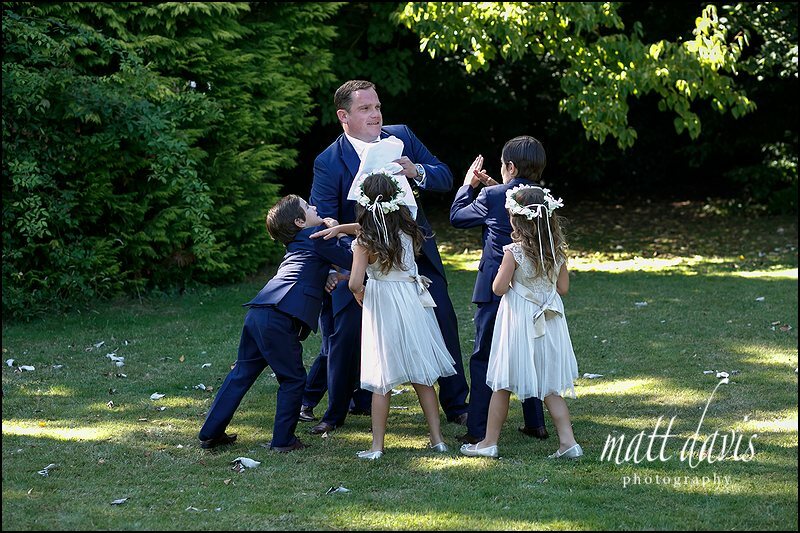 Someone’s gotta take on the roll of child minder at the wedding. 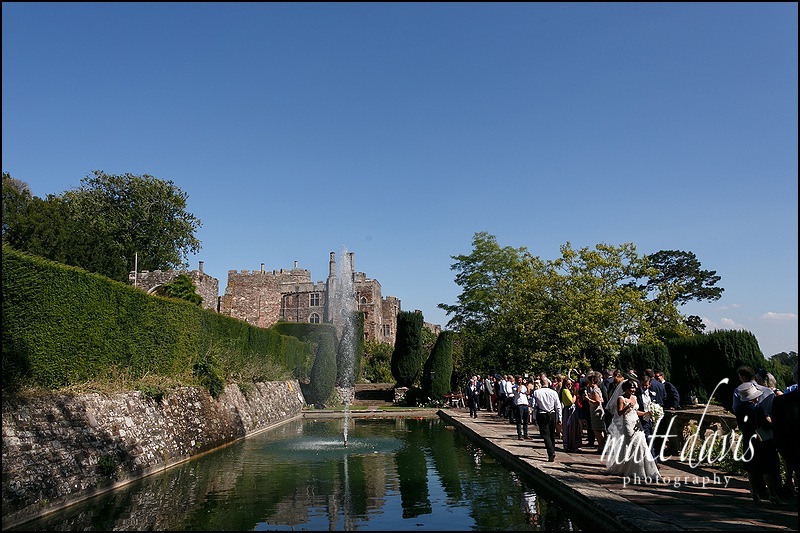 Wedding reception drinks by the fountain at Berkeley castle. 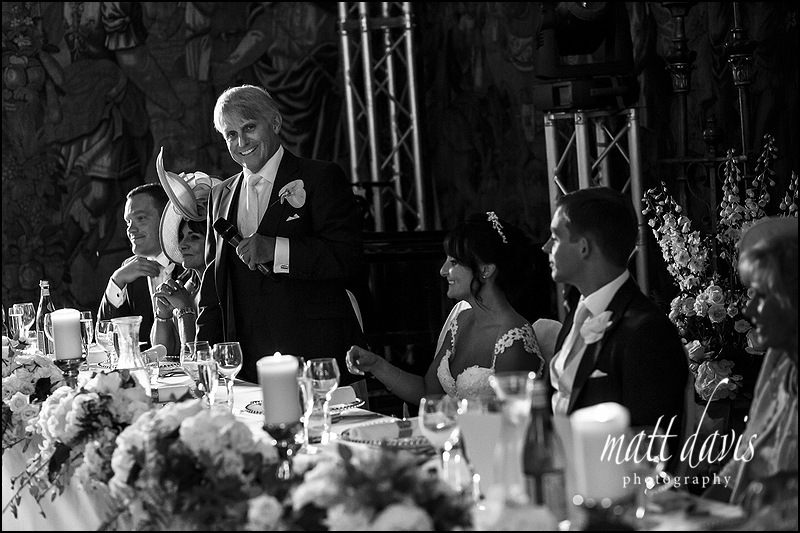 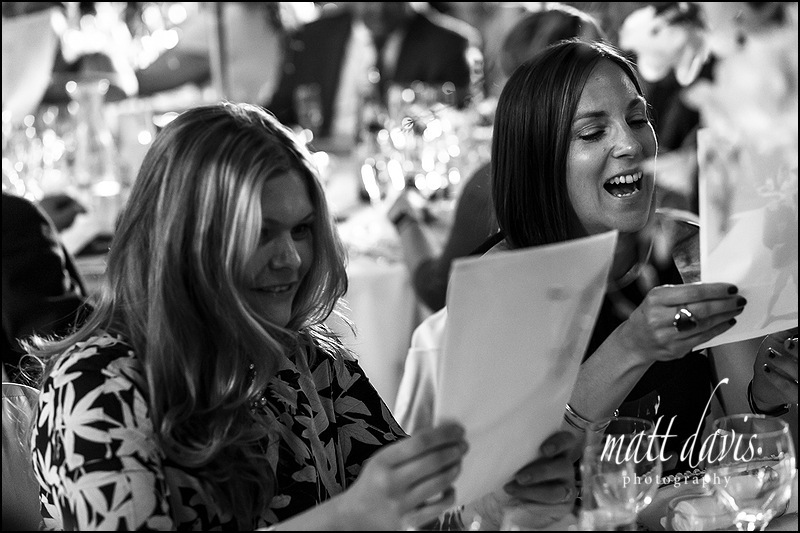 I reckon around 50% of my weddings this year have had a magician. 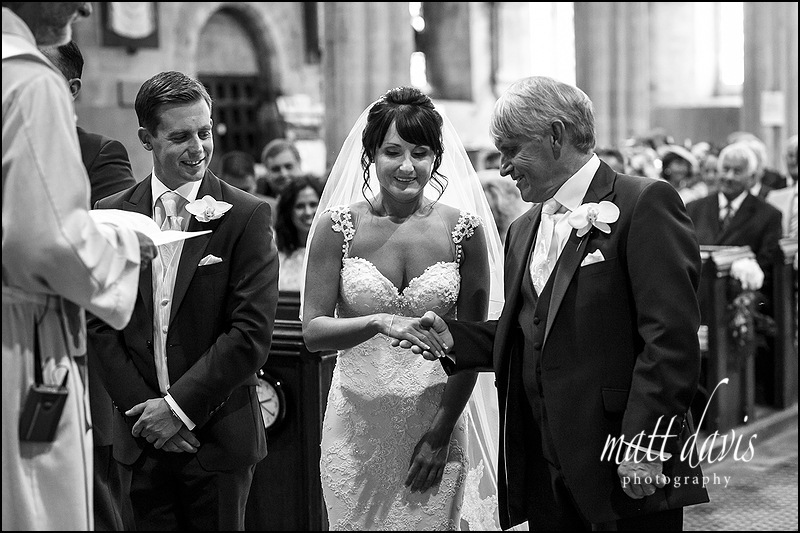 First time I’d seen this trick though. 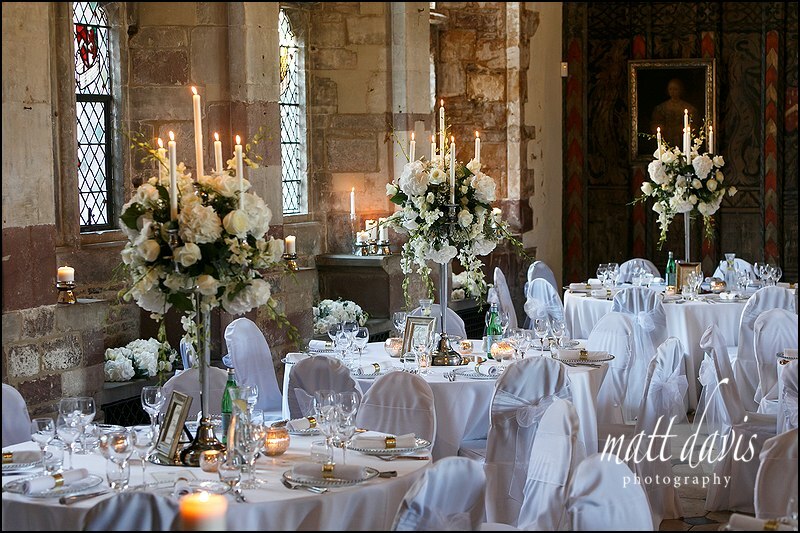 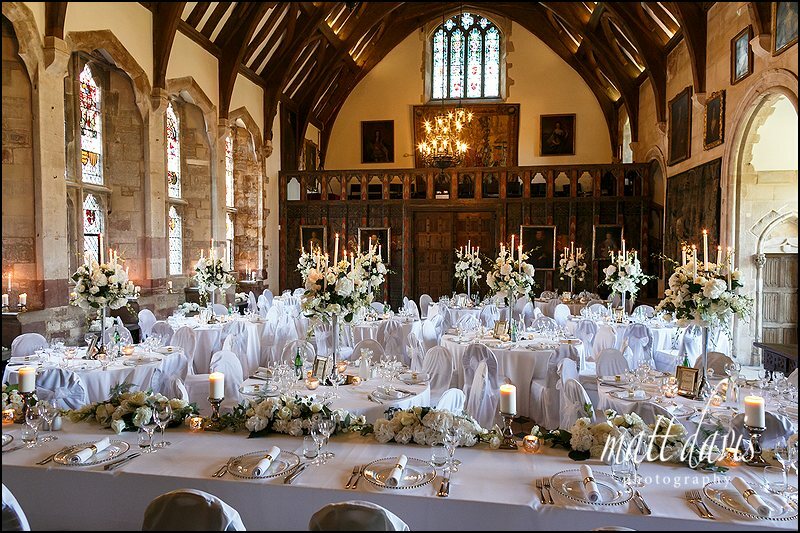 The Great Hall at Berkeley Castle looked stunning. 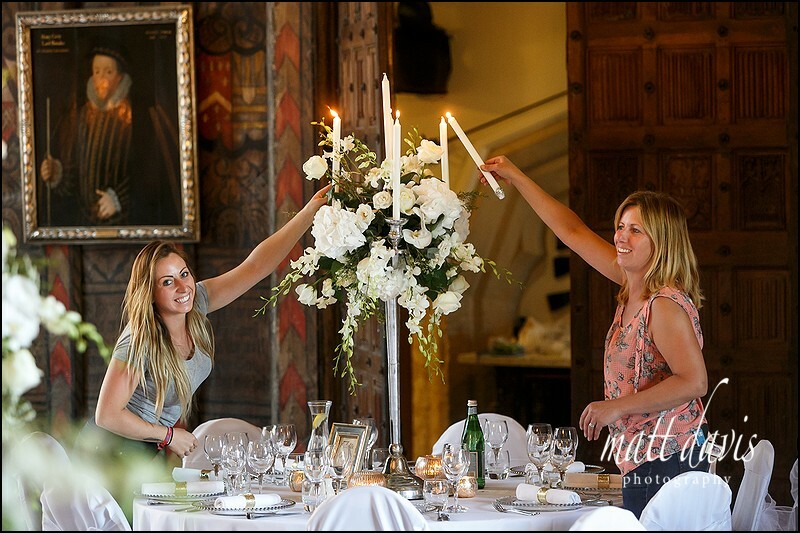 A smile from Sorori Design (on flower duty), and Lauren Grey (wedding stylist). 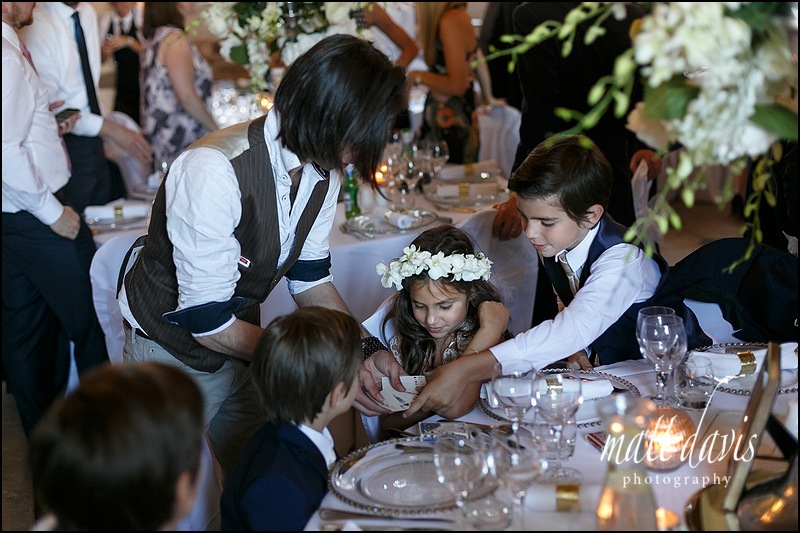 Apparently not all the tiers are real! 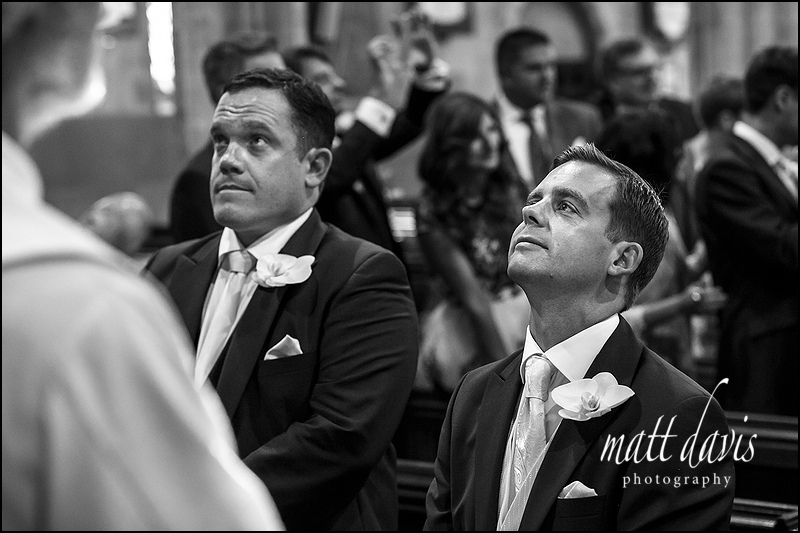 One for the overhead drone. 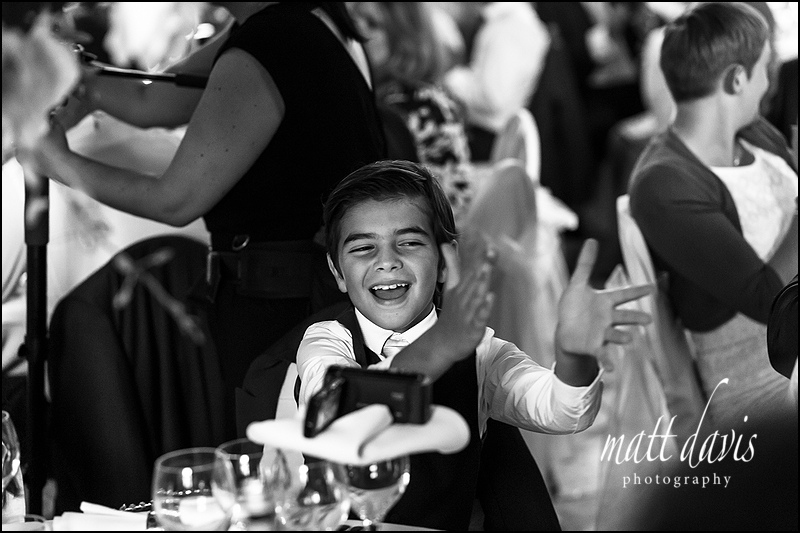 As mentioned it’s almost impossible to always exclude videographers from my shots. 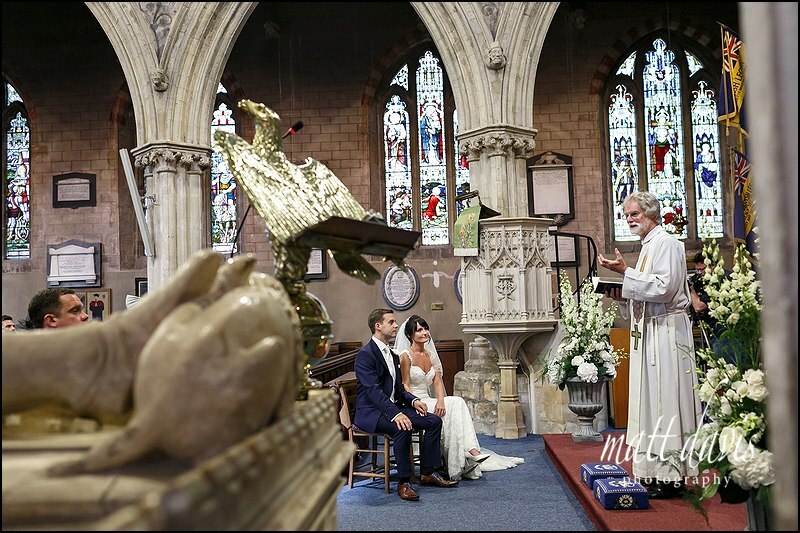 This is a prime example of really where you shouldn’t stand if you are the videographer. 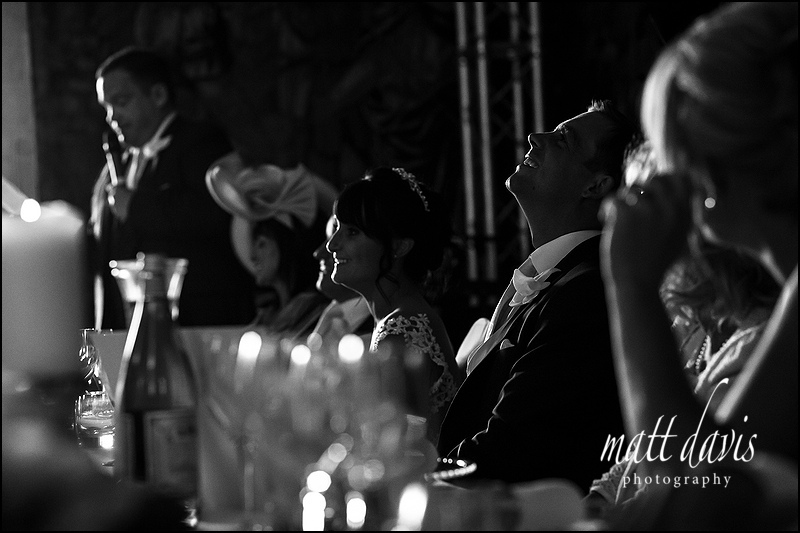 Especially if you have a bright light on top of your camera. 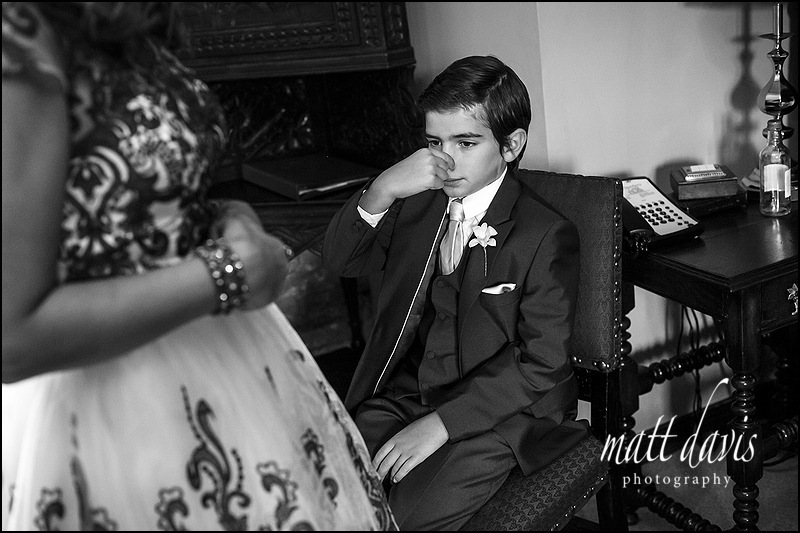 Pondering what’s about to come! 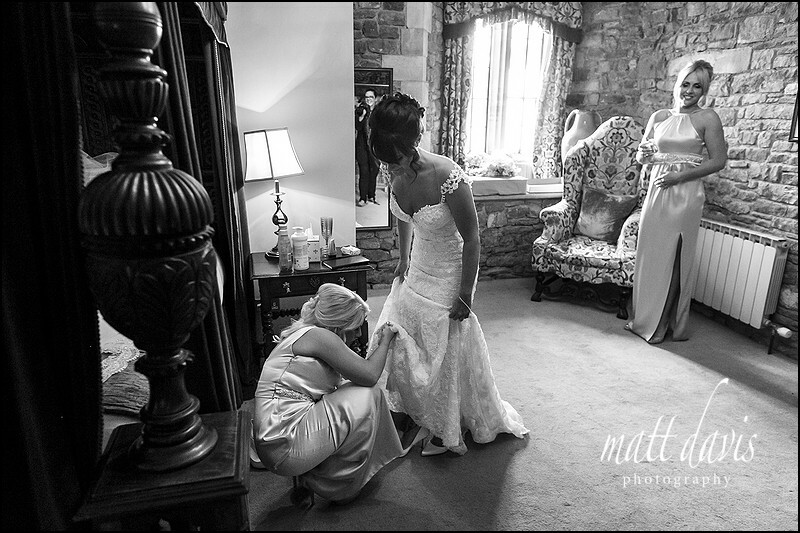 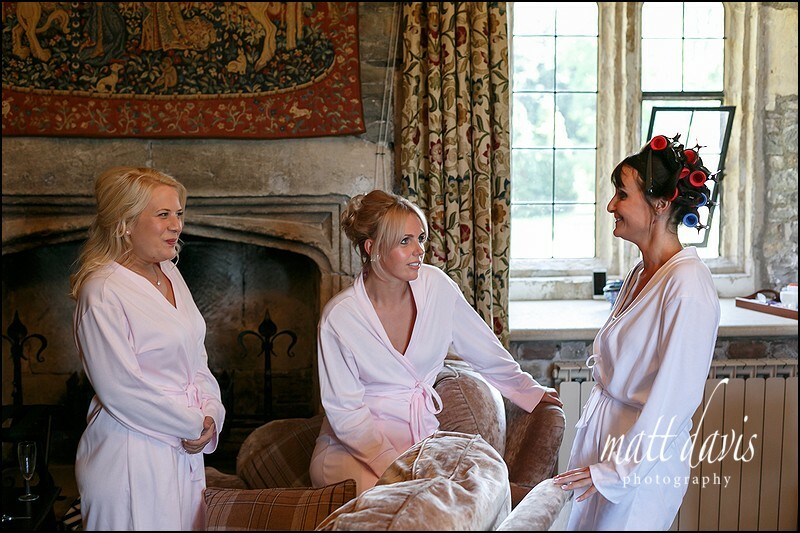 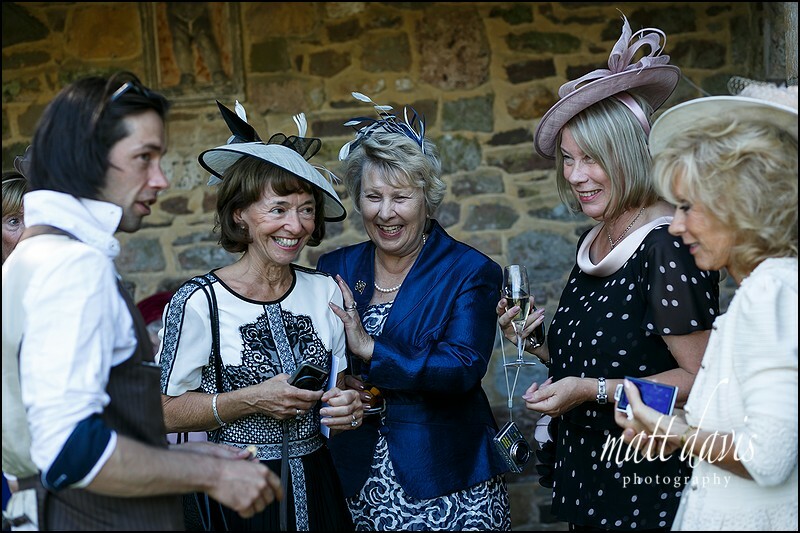 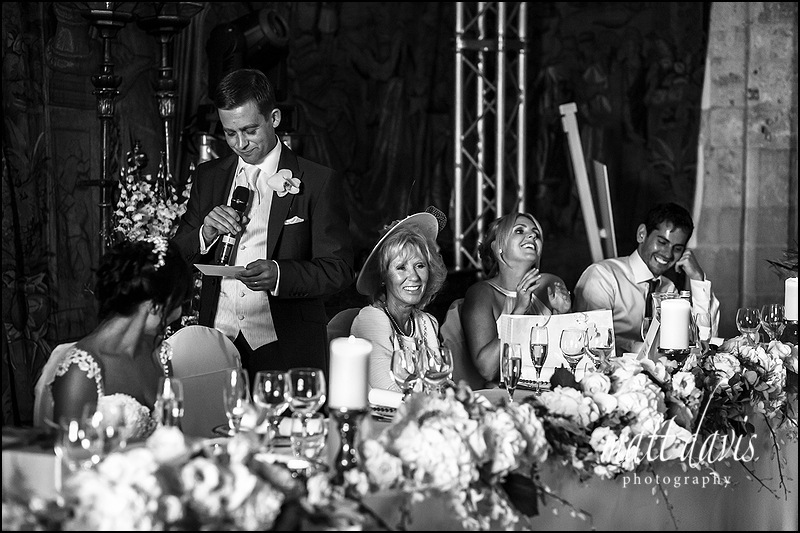 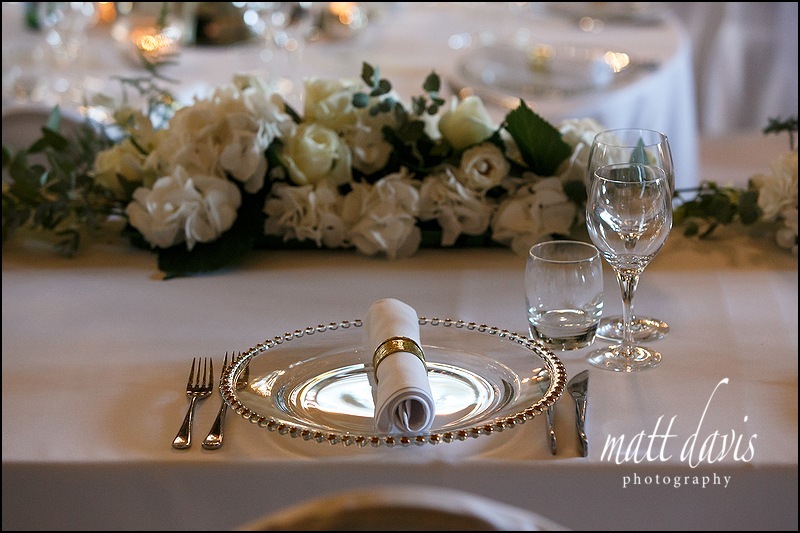 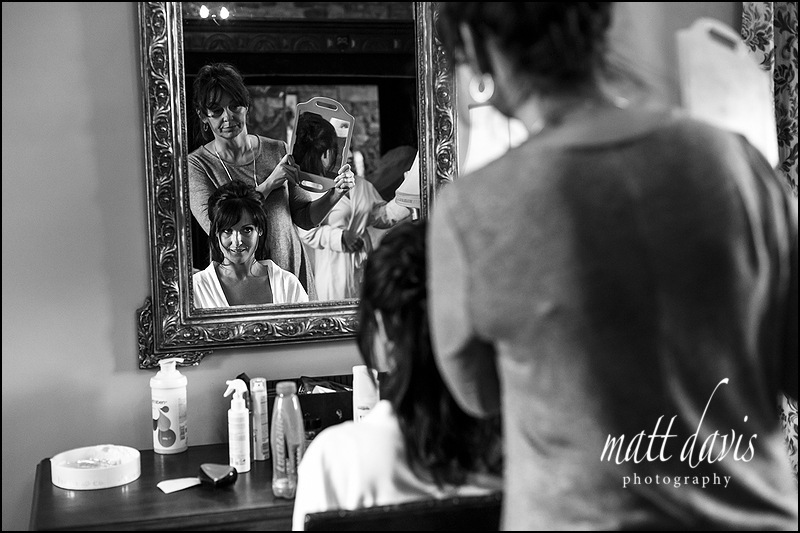 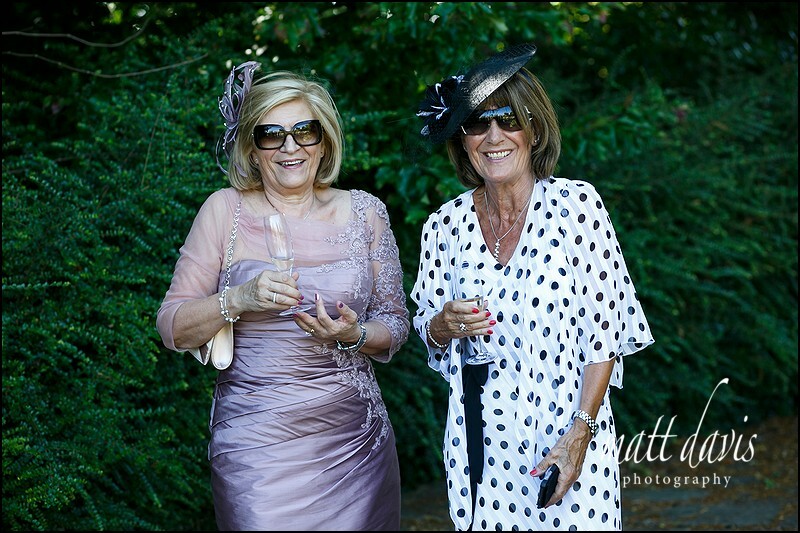 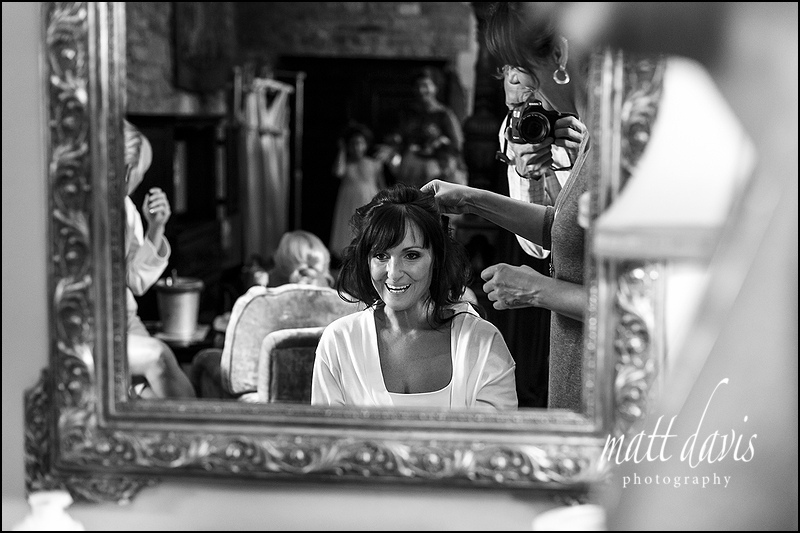 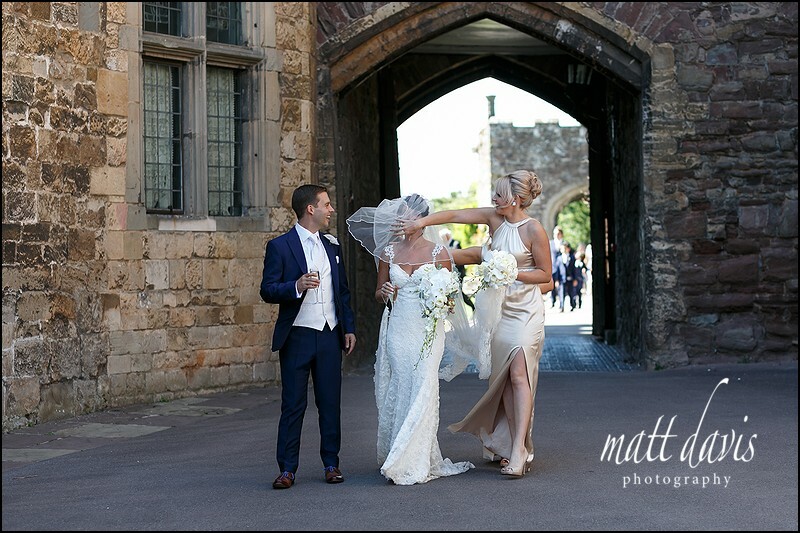 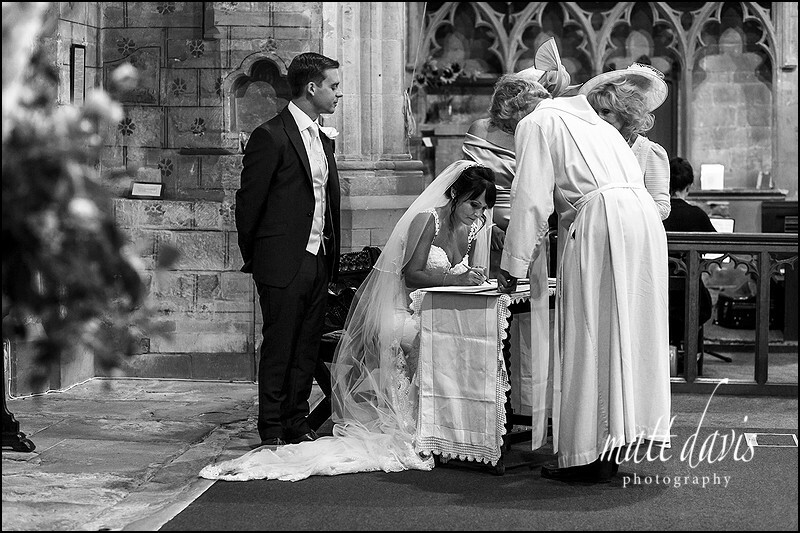 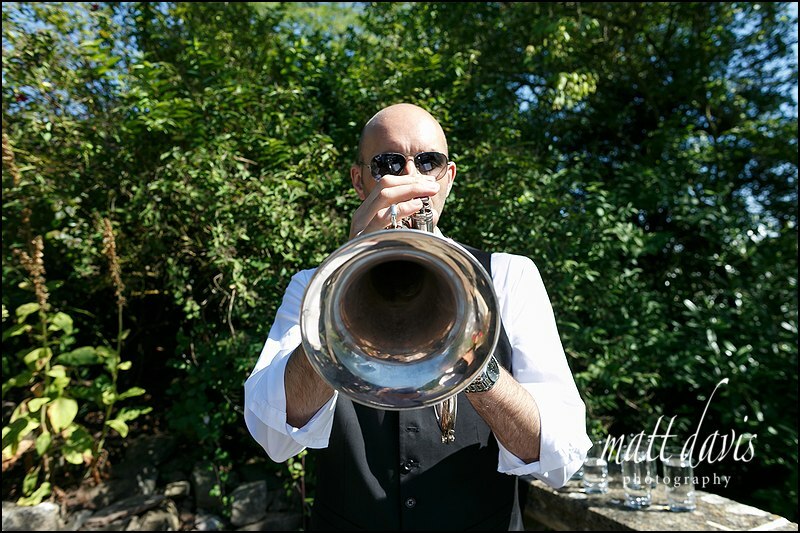 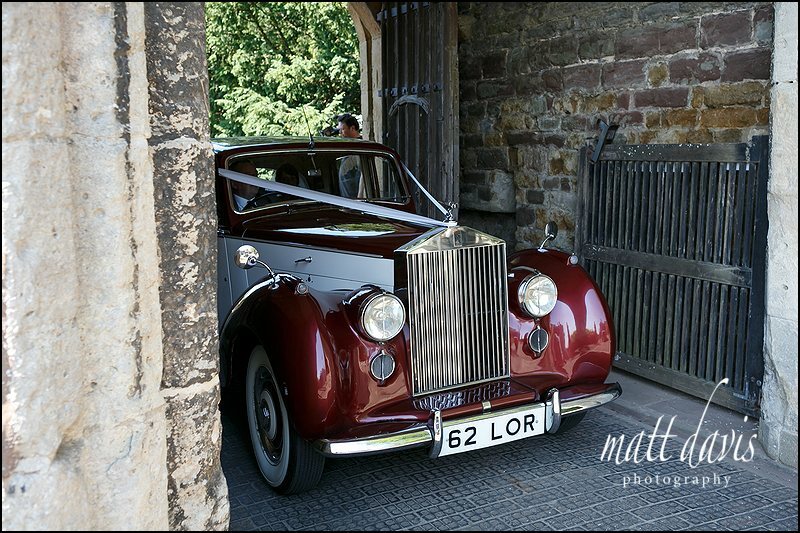 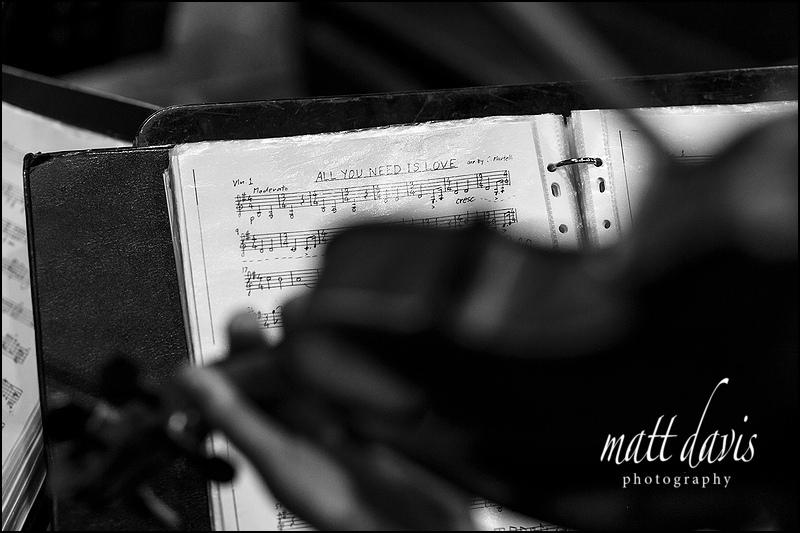 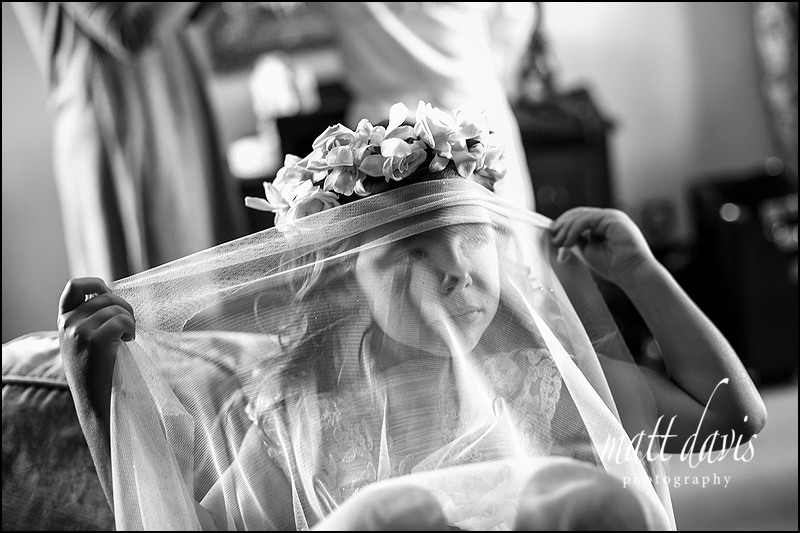 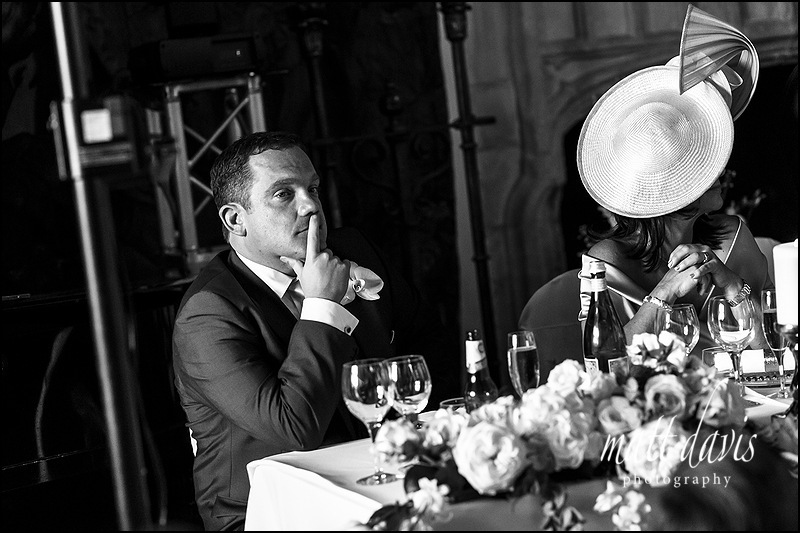 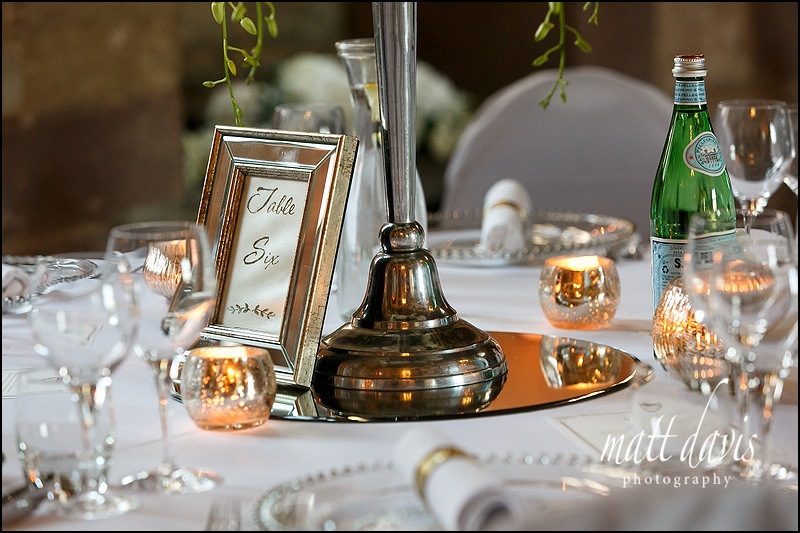 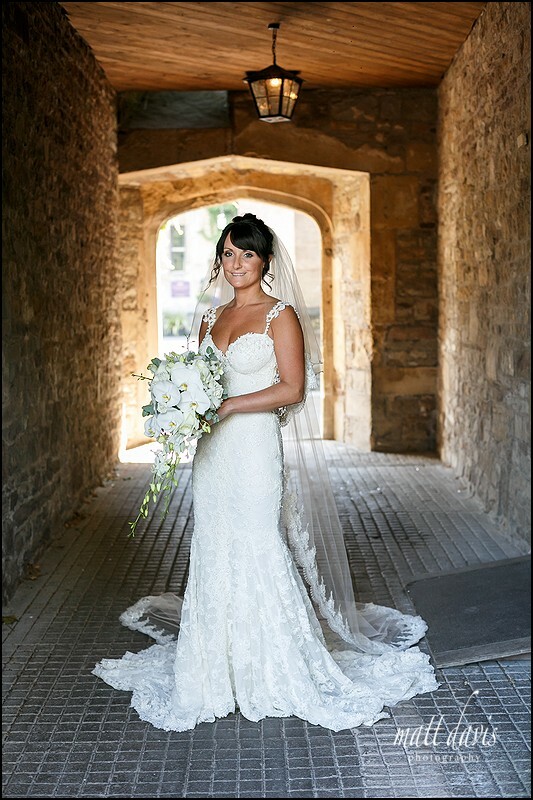 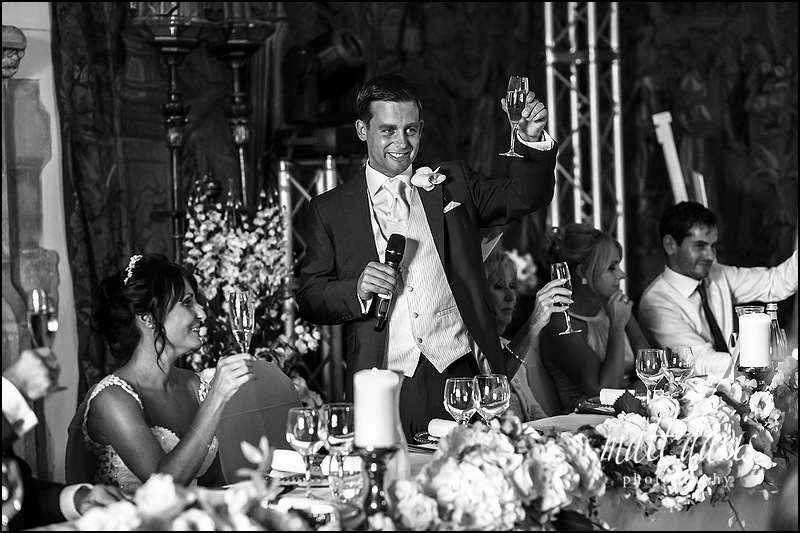 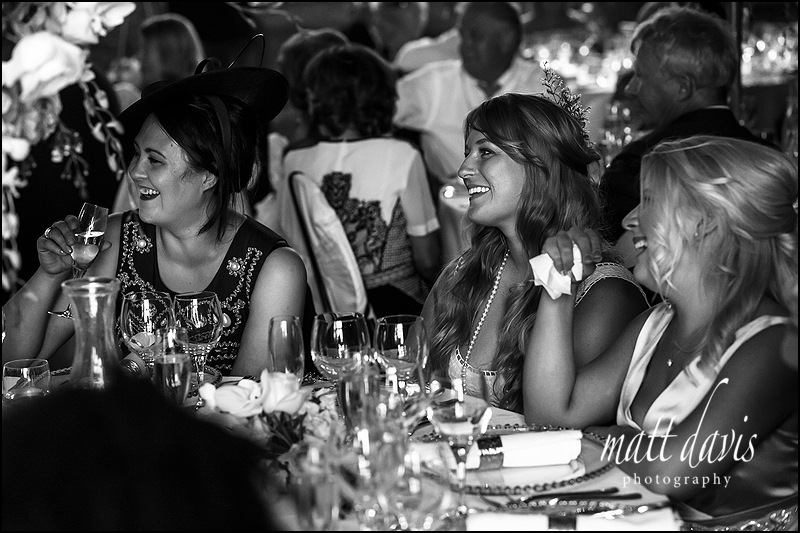 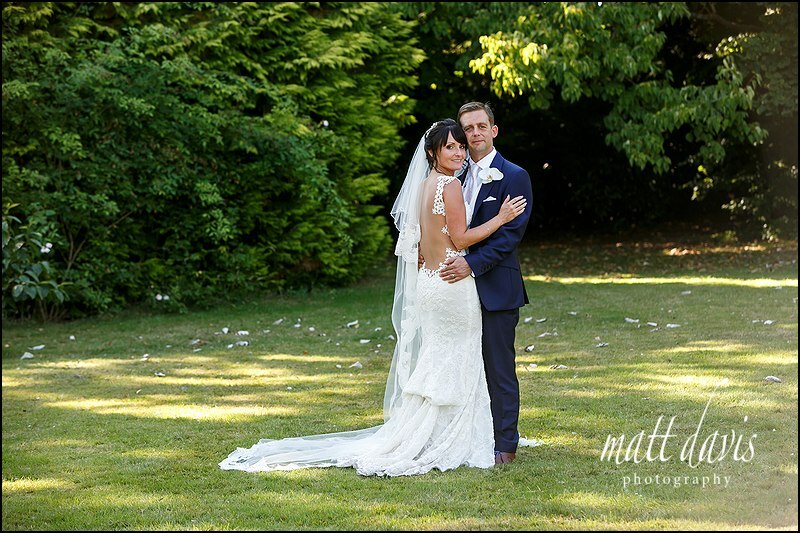 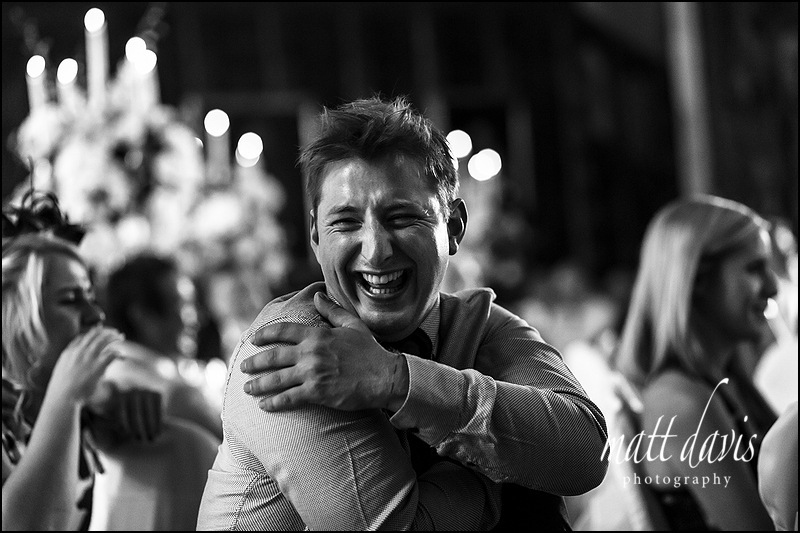 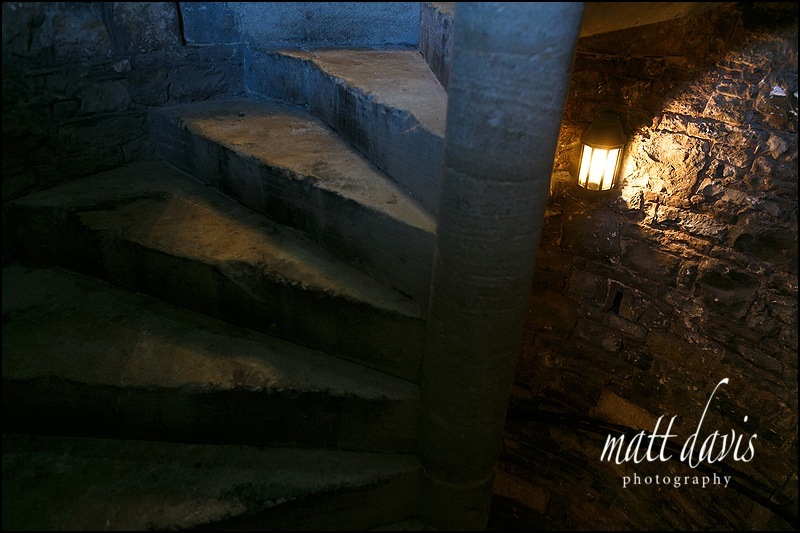 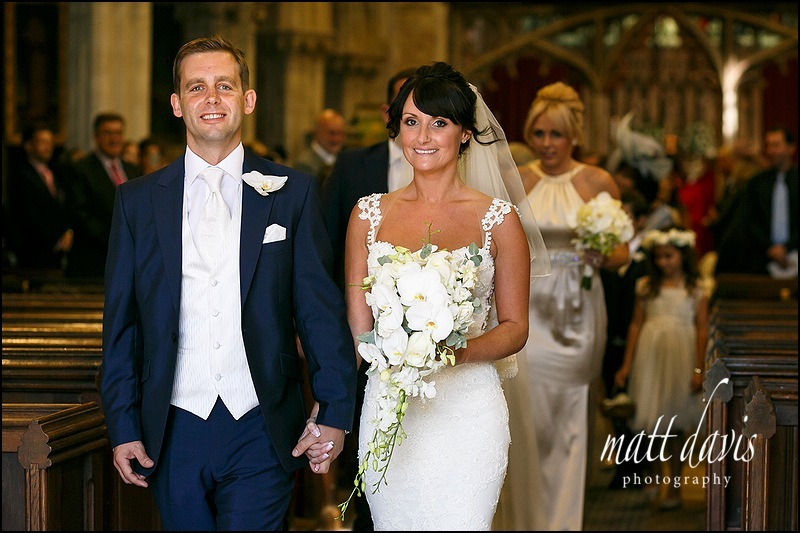 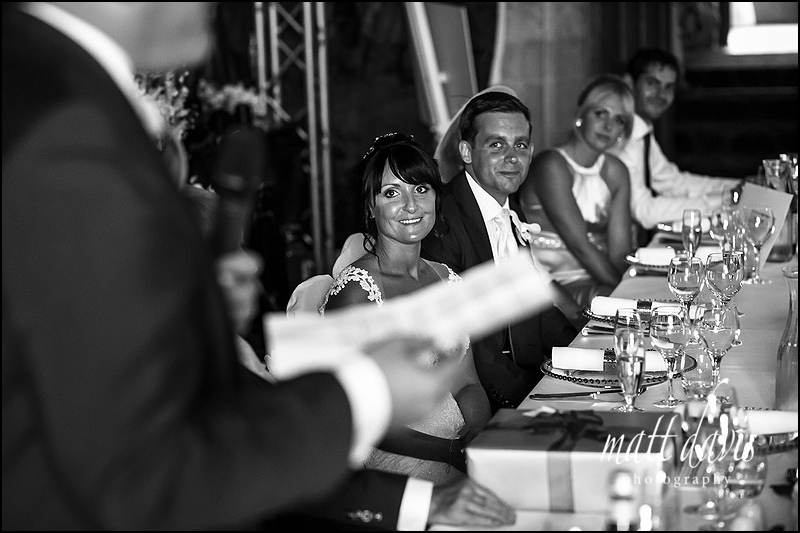 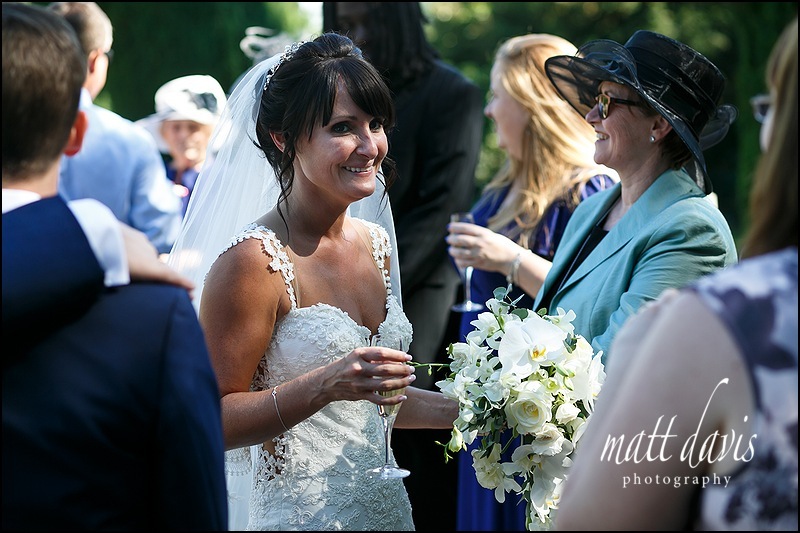 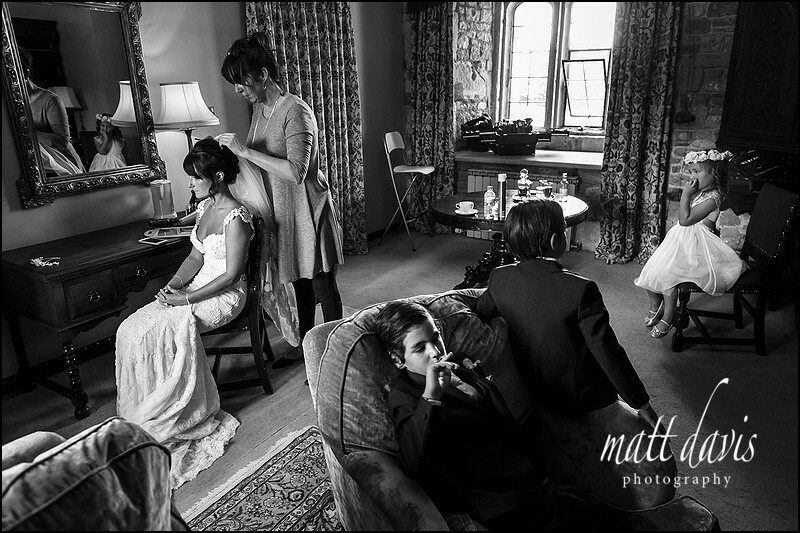 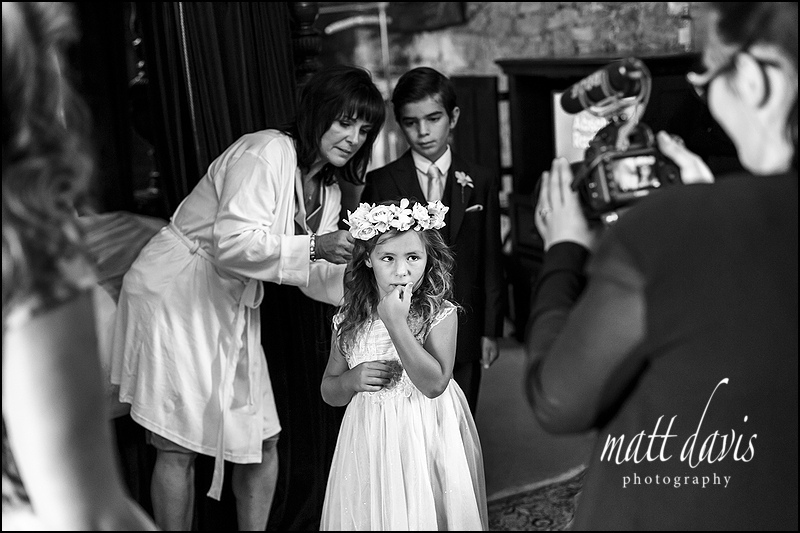 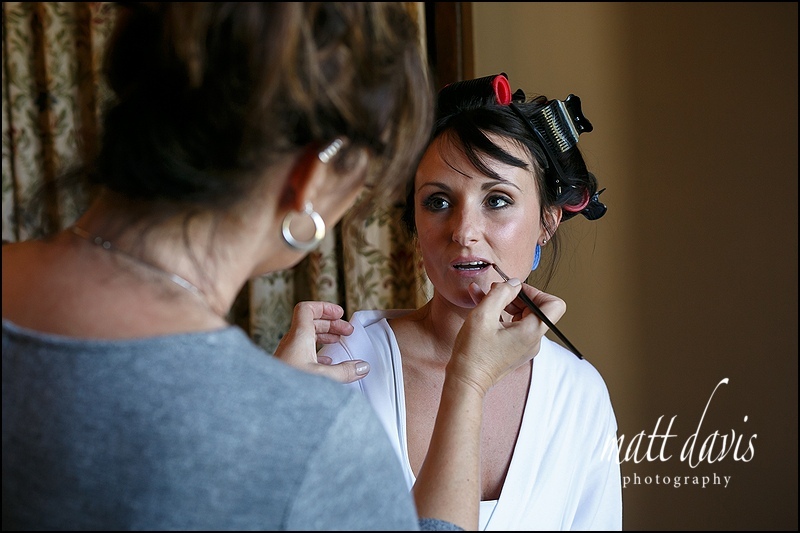 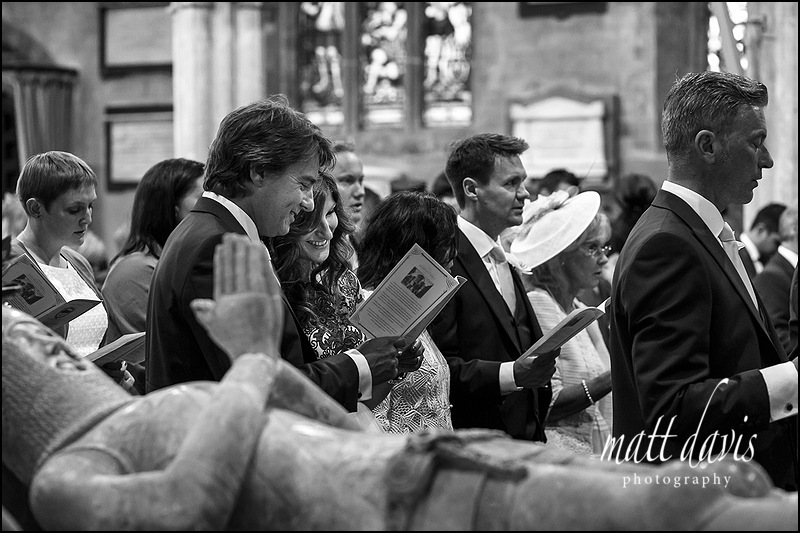 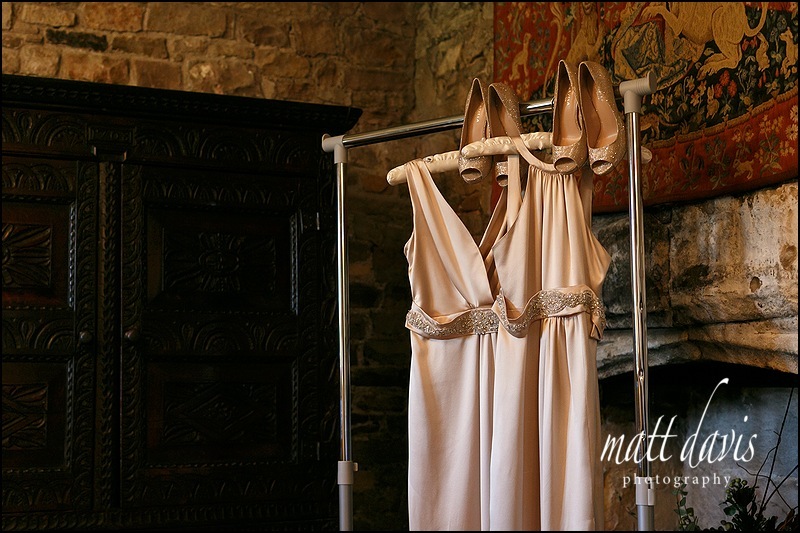 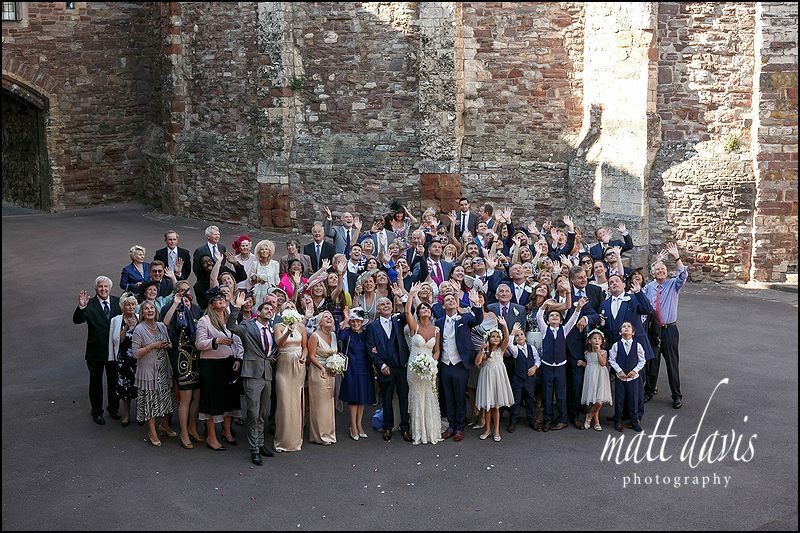 If you are having a Berkeley Castle wedding and looking for a photographer please contact me. 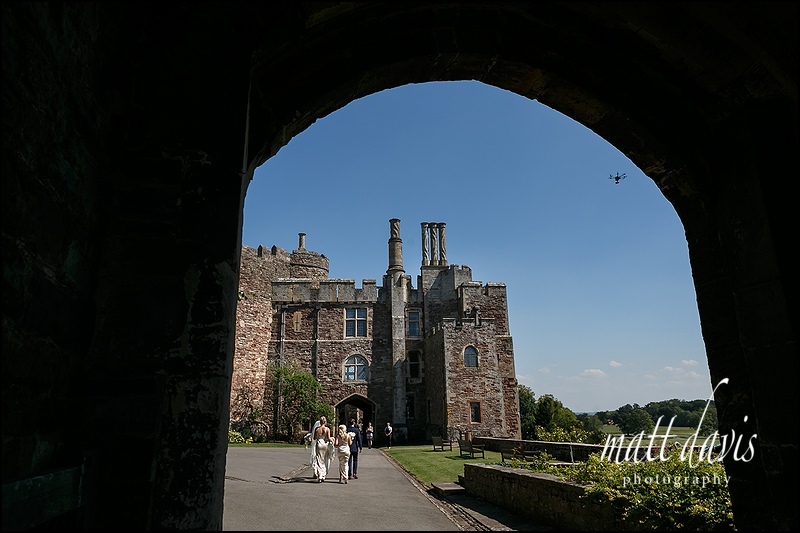 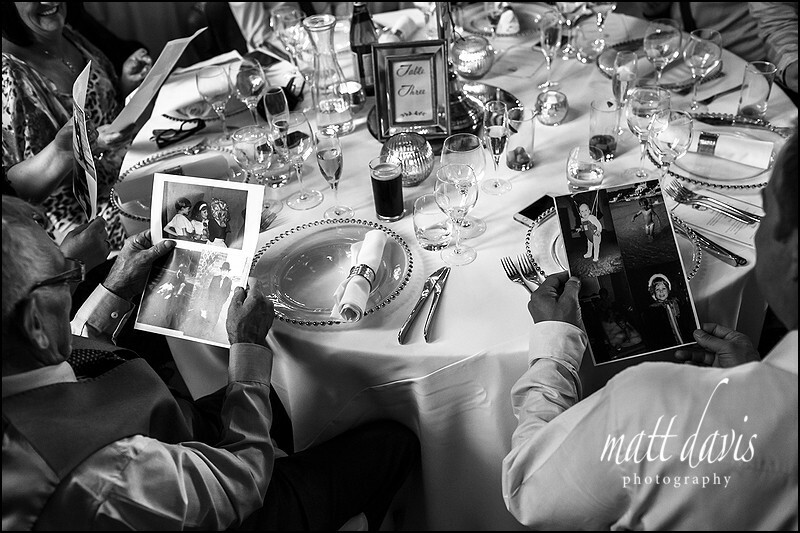 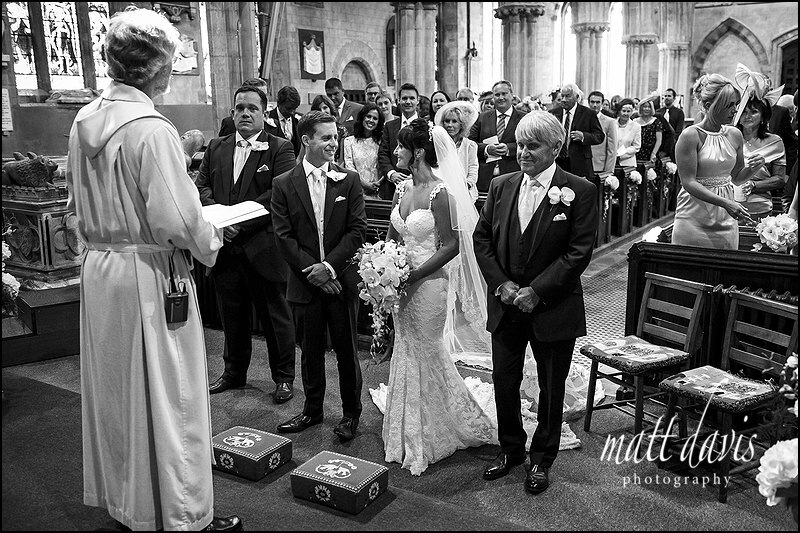 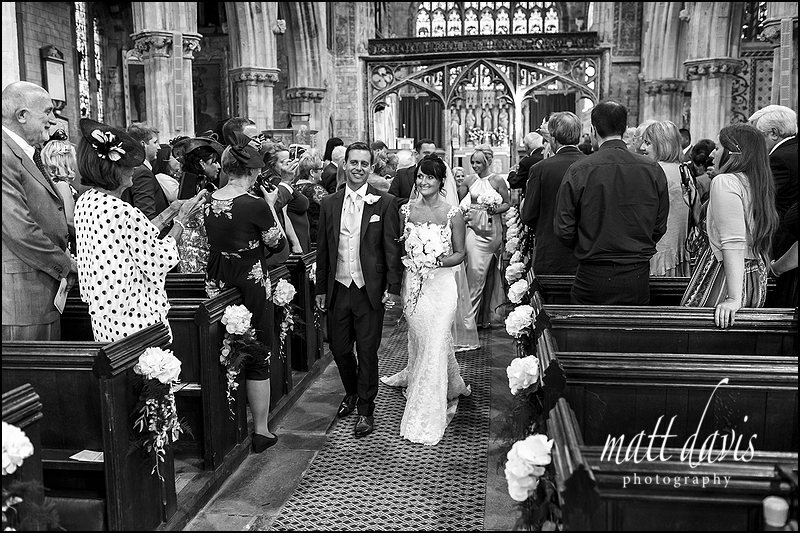 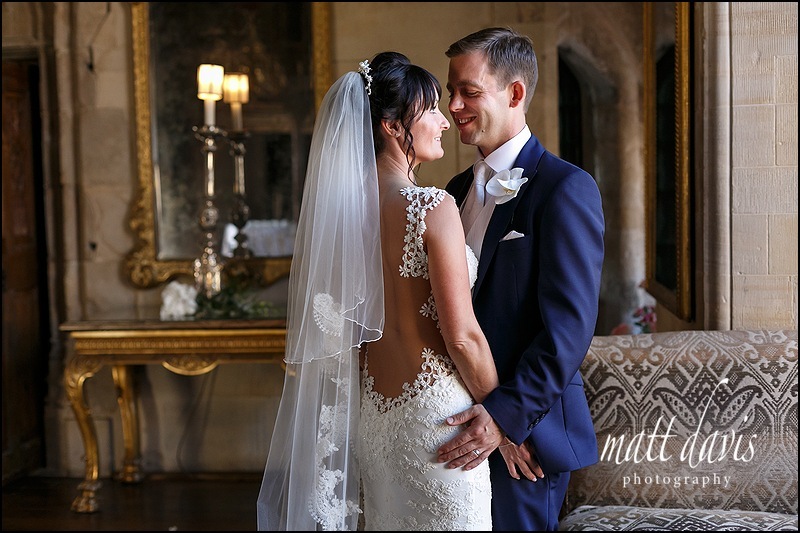 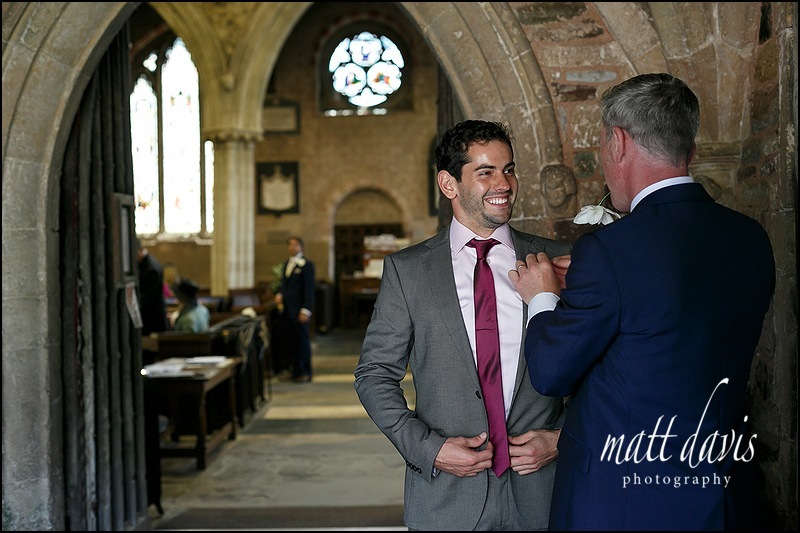 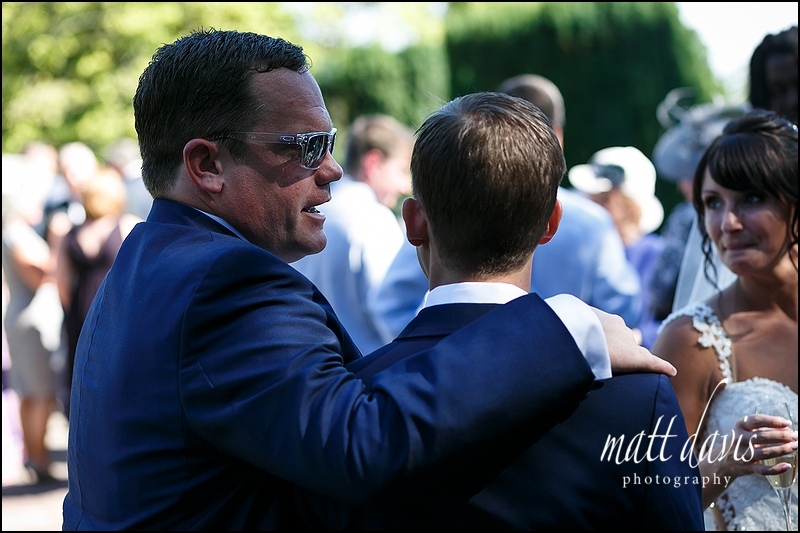 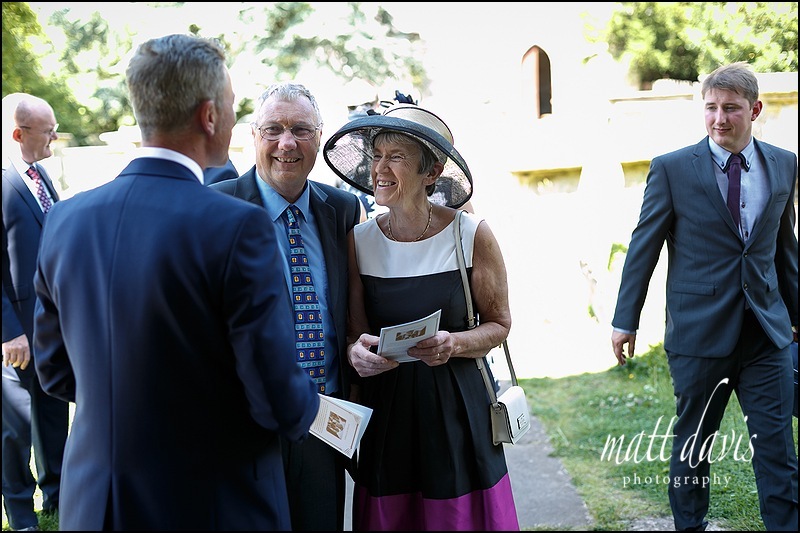 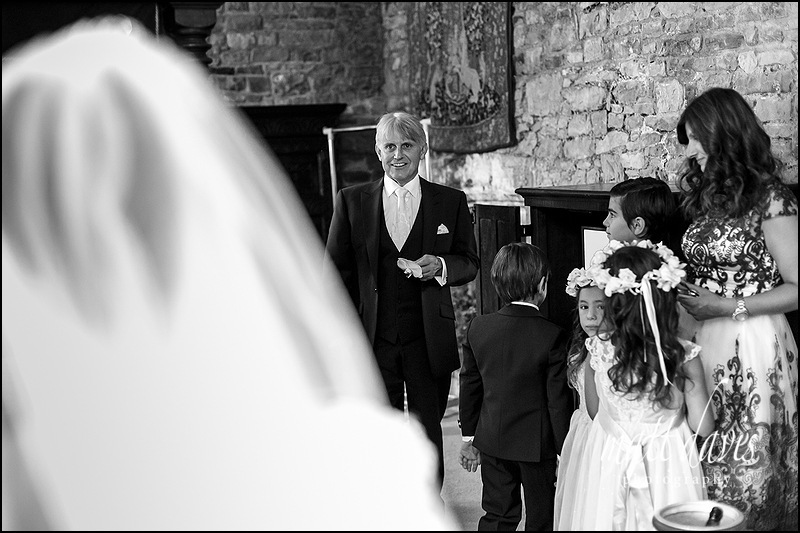 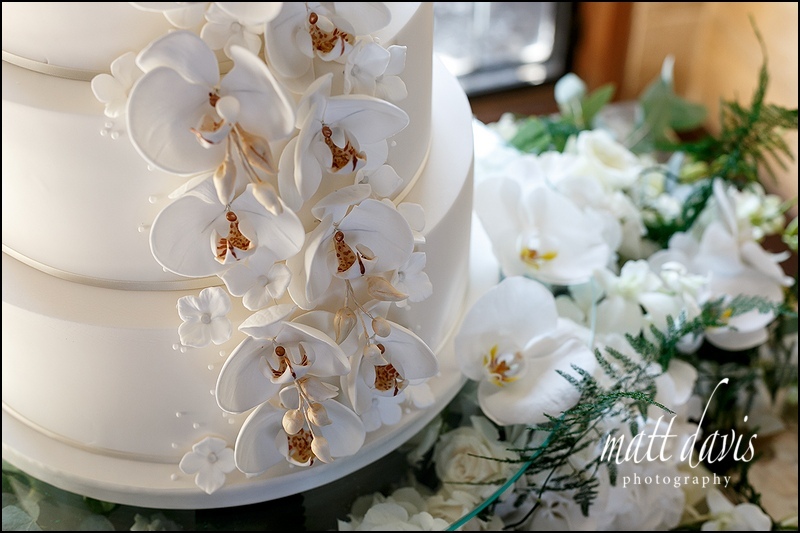 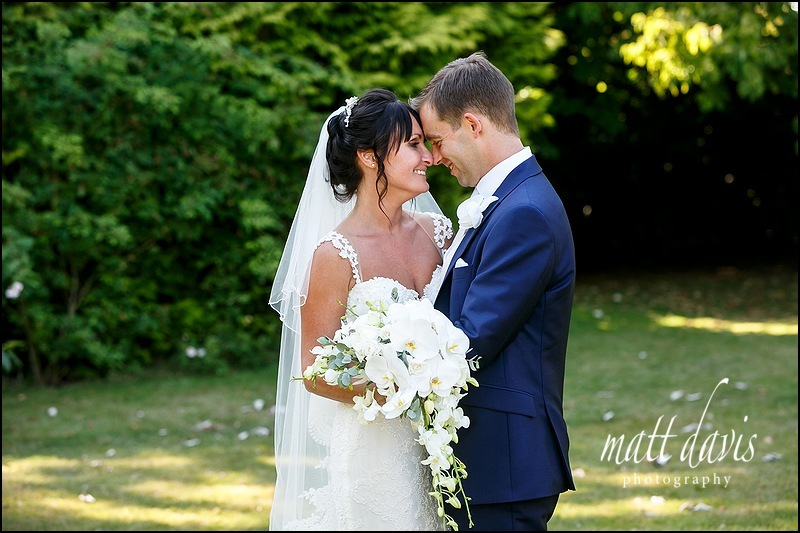 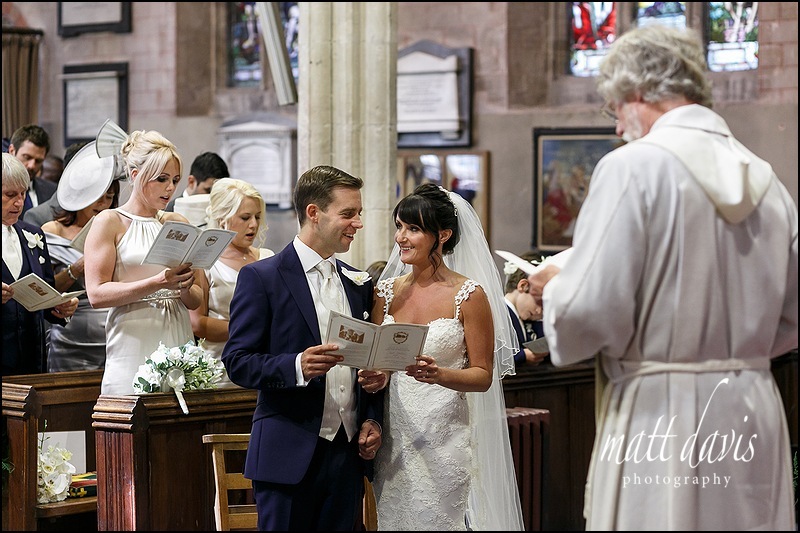 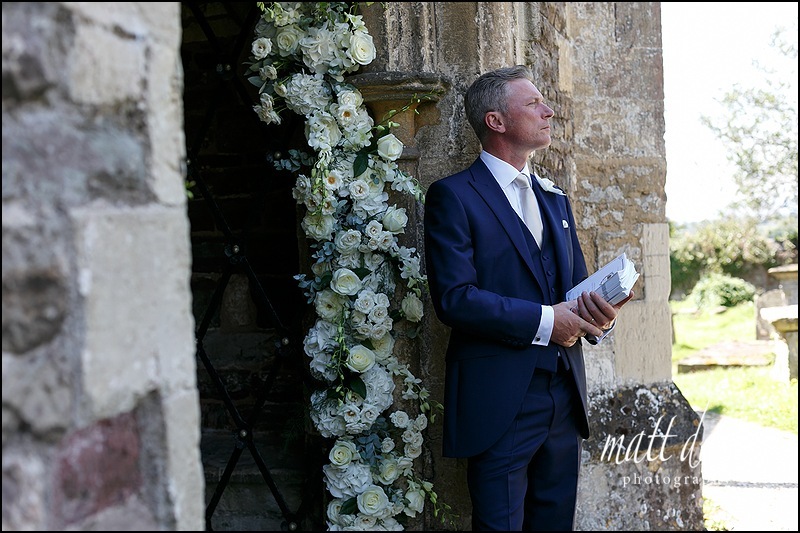 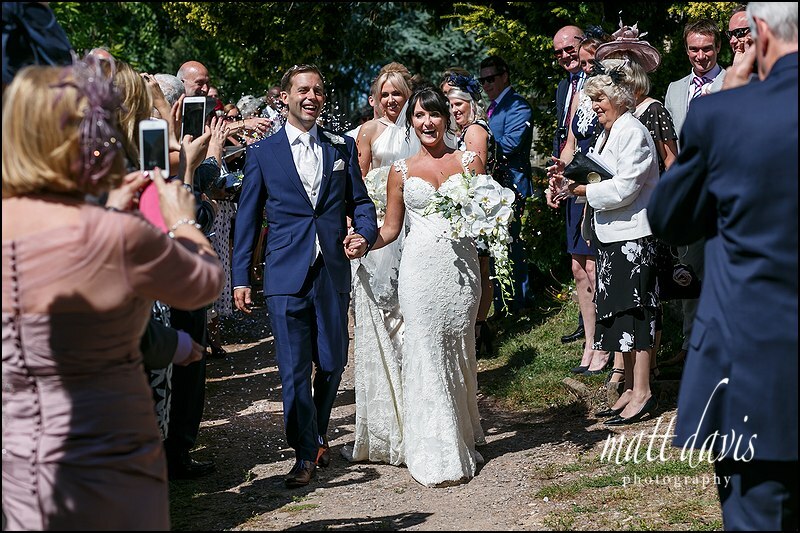 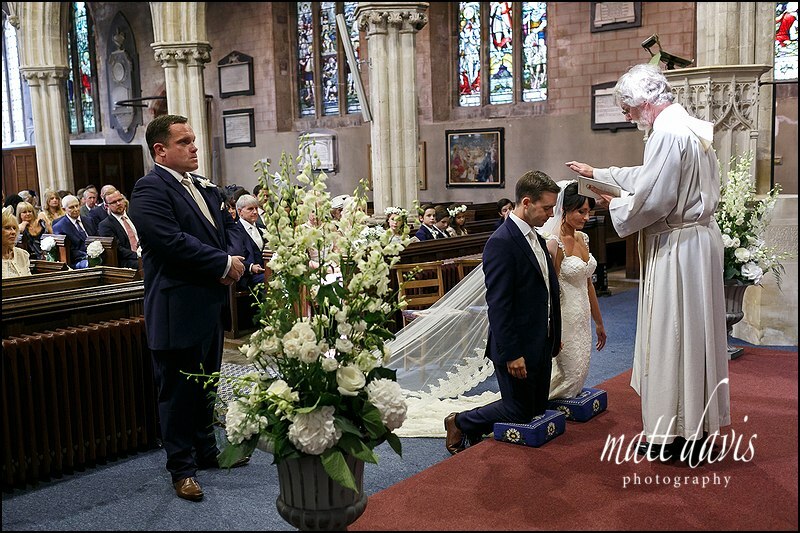 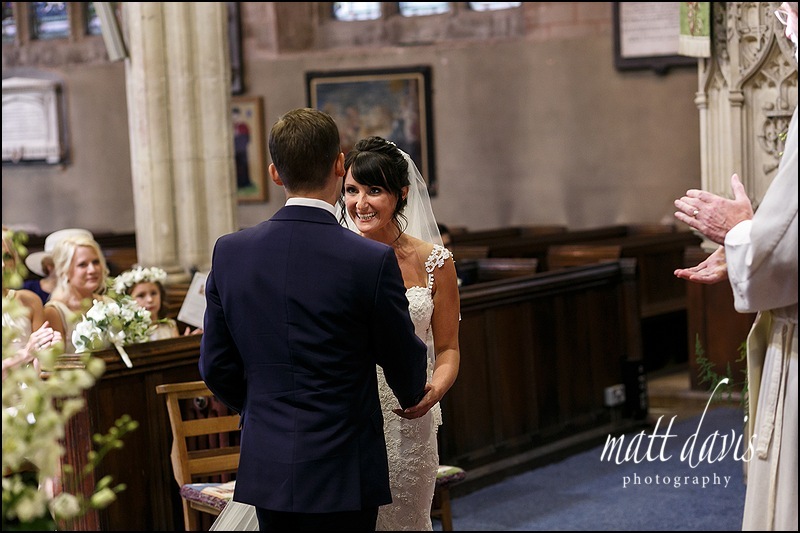 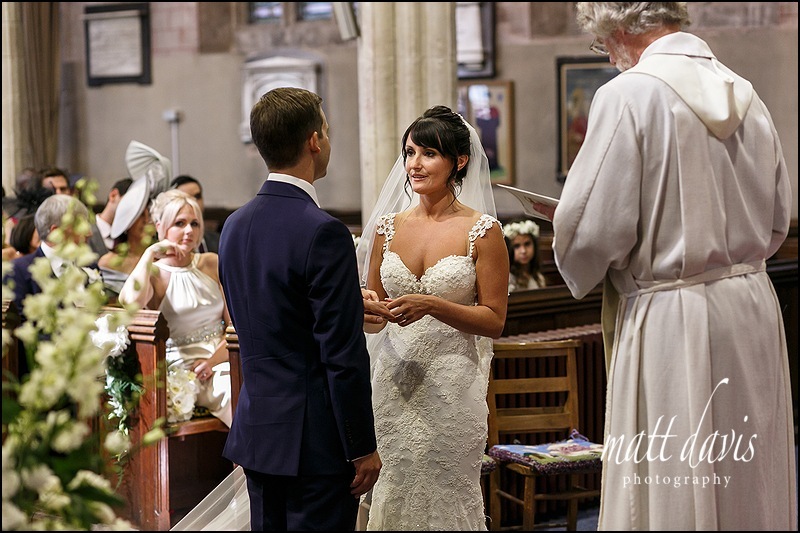 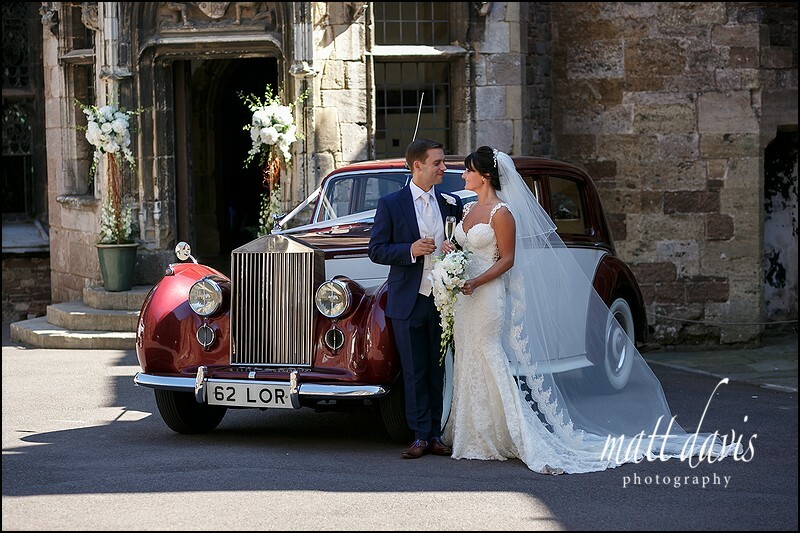 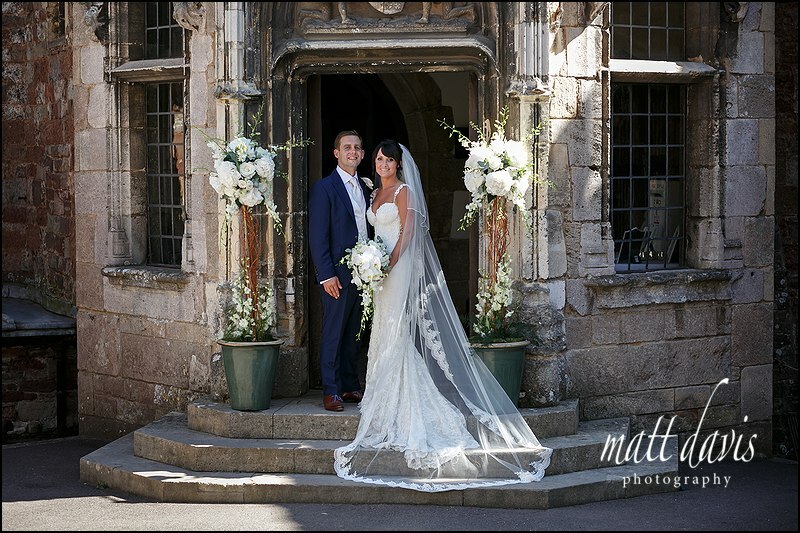 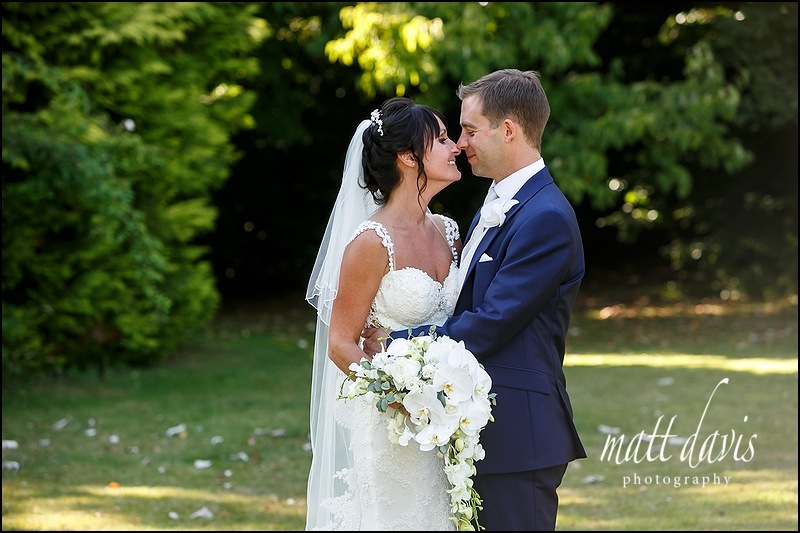 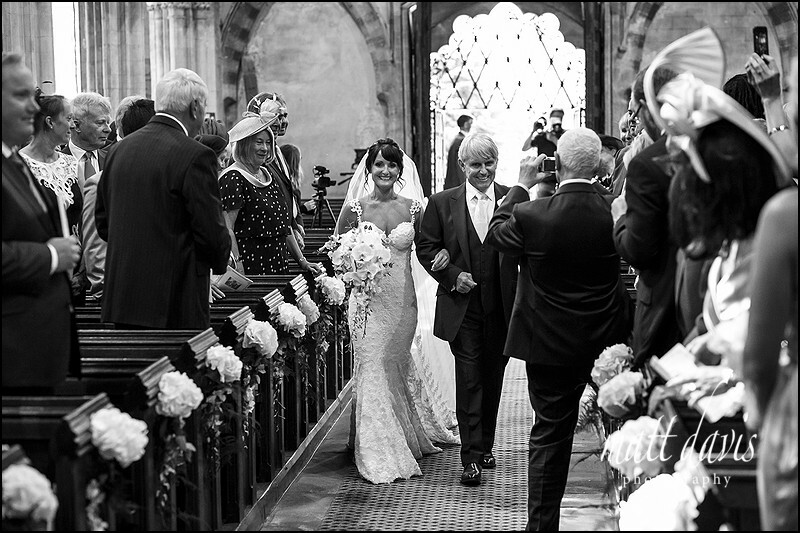 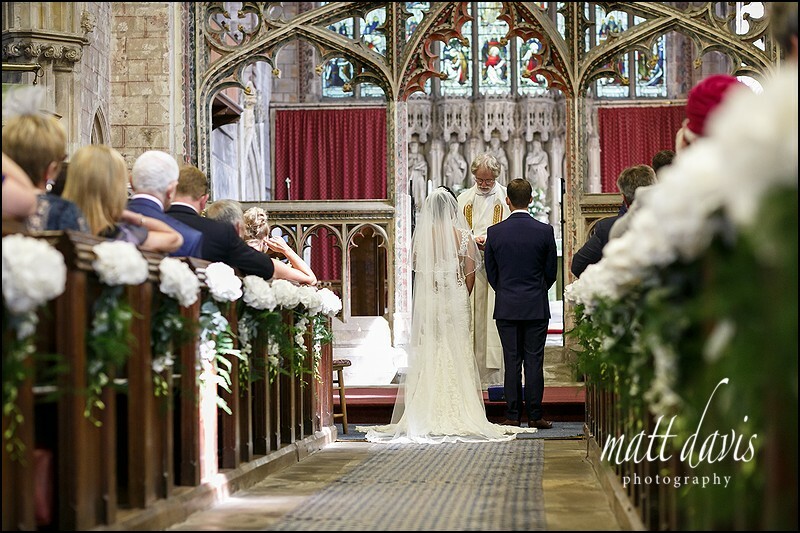 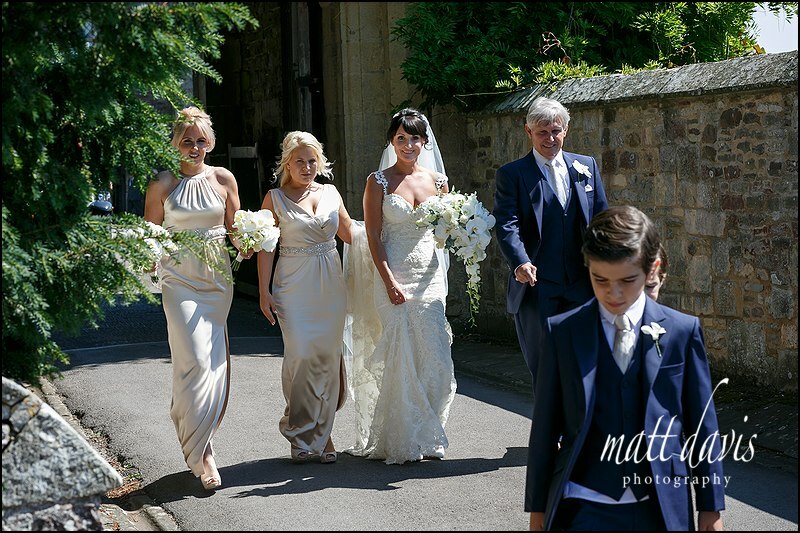 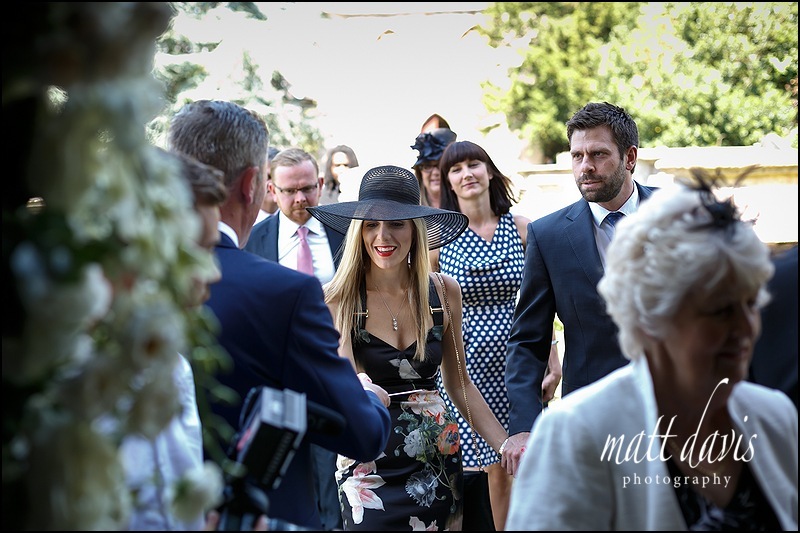 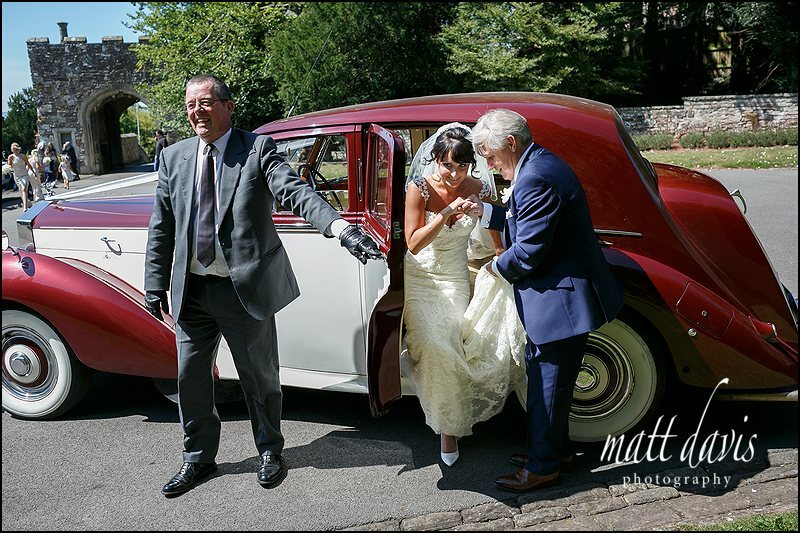 I am a recommended supplier here and have several examples of wedding photography at Berkeley Castle on my website and sample albums to view at the castle itself.